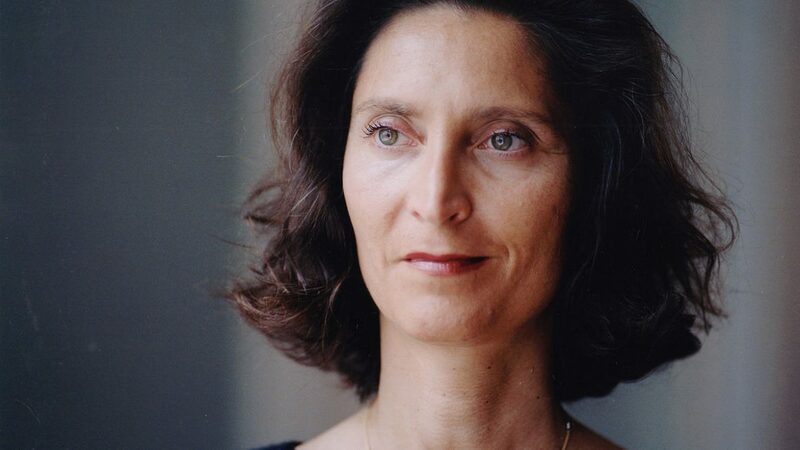 Yasmine Mahmoudieh, to me, is a woman of multiple worlds – and that’s not just because she can speak no less than six languages. 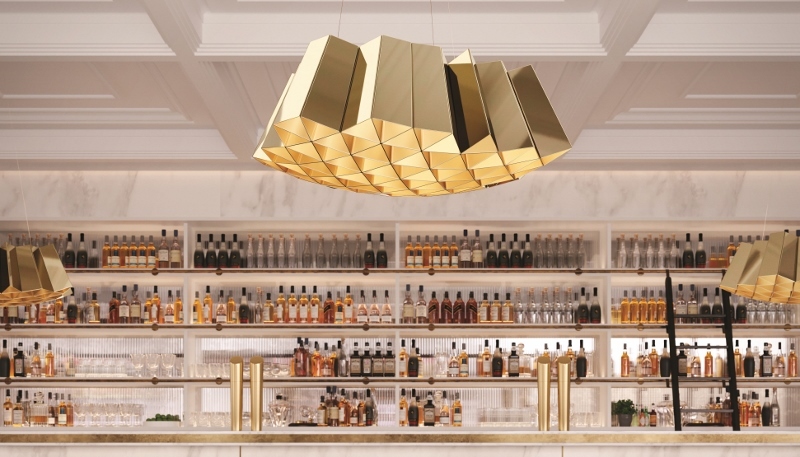 While she defiantly marks her territory as one of the UK’s leading hotel design architects, she is also churning up a creative swirl in the interior design industry. 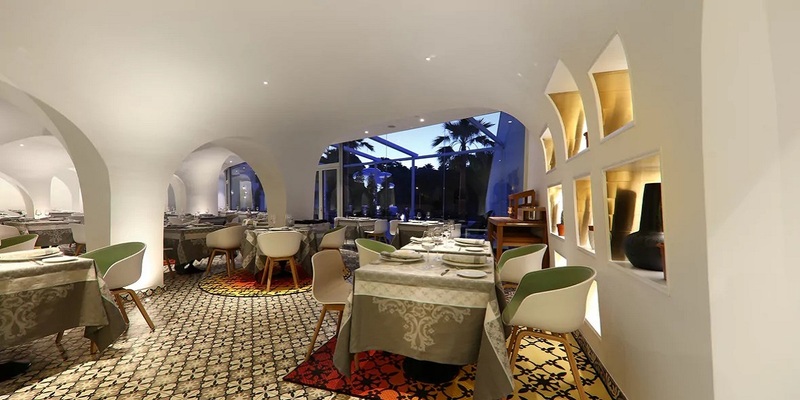 Thinking like an architect, to carve out beautiful narratives in surfaces, furniture and lighting, has helped Mahmoudieh to establish innovative interior spaces that somewhat echo what the future of hotel design will look like. The most recent example of this was seen in her Sleep Set in collaboration with Penguin Books that was exclusively exhibited at Sleep + Eat 2018. After the noise of the show softened, I caught up with the one and only Mahmoudieh to understand how that unique pairing all came together, what it means for her to be recognised as a Brit List 2018 winner and where her focus for the future is. 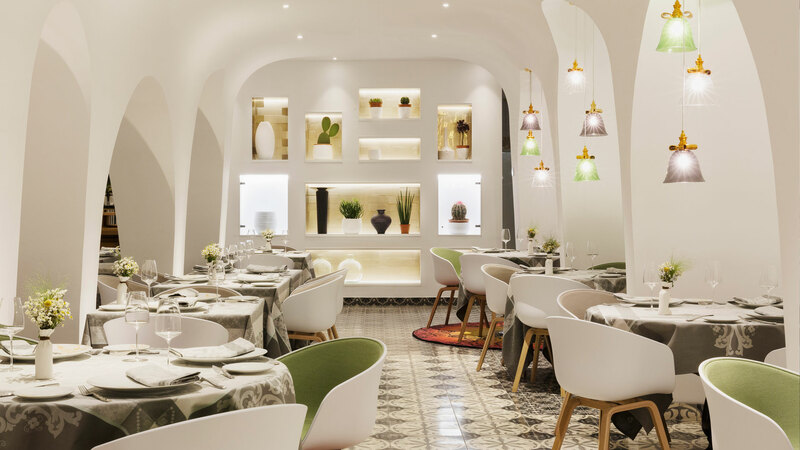 One can’t help but think that, for Mahmoudieh, designing new spaces is almost like a puzzle where more often than not, the missing piece is technology struggling to keep up with her ideas. 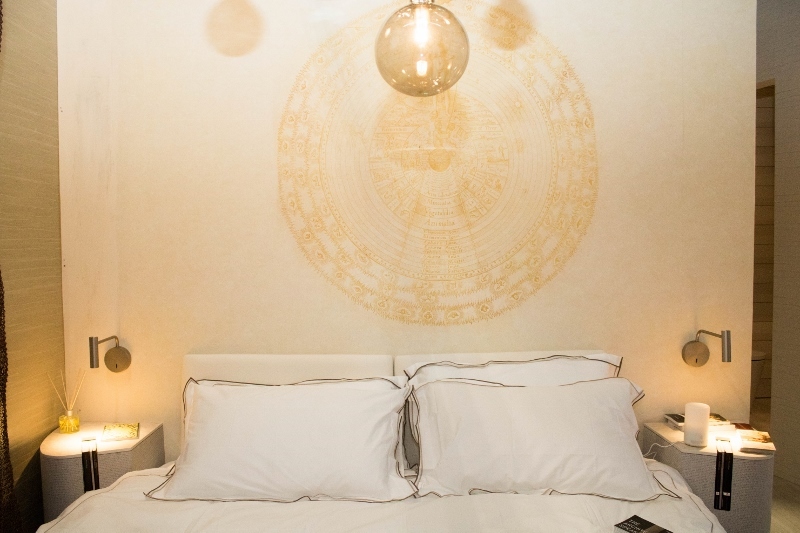 “The patterned sound that I used within my Sleep Set really took the whole ambiance further, and for that reason I believe that we will see more of this in hotel design,” she explains. 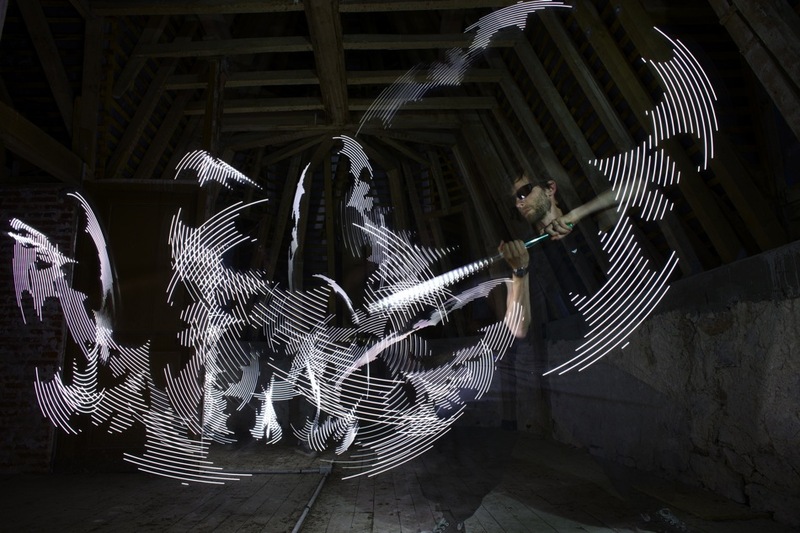 “The sound came from inside, travelled along the walls and was programmable. The fact that you can personalise the sound makes it totally relevant to the modern traveller of today, or tomorrow.” For Mahmoudieh, technology that works has to be invisible and more importantly, easy to use. 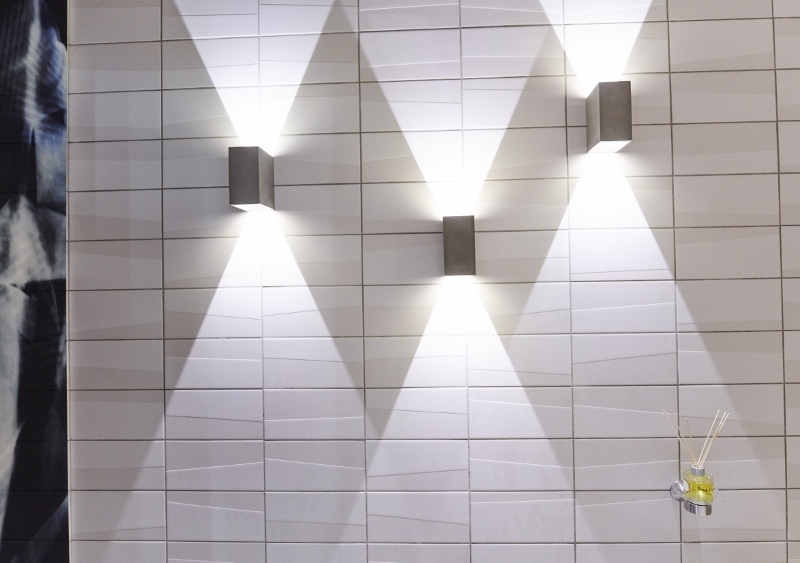 Opting for using the simple, effective products from Astro Lighting, Mahmoudieh believes that many designers are getting it wrong when it comes to lighting the bathroom. “Lighting should never be from the top,” she says as I raise an eyebrow. “Instead it should come from the front, otherwise the guest will not be able to escape from the shadows on their face.” In Mahmoudieh’ s eyes, a hotel bathroom’s lighting should reflect an actors’ dressing room. HK: What’s your number-one travel item you cannot board a plane without? HK: What’s a trend that has inspired you this year? 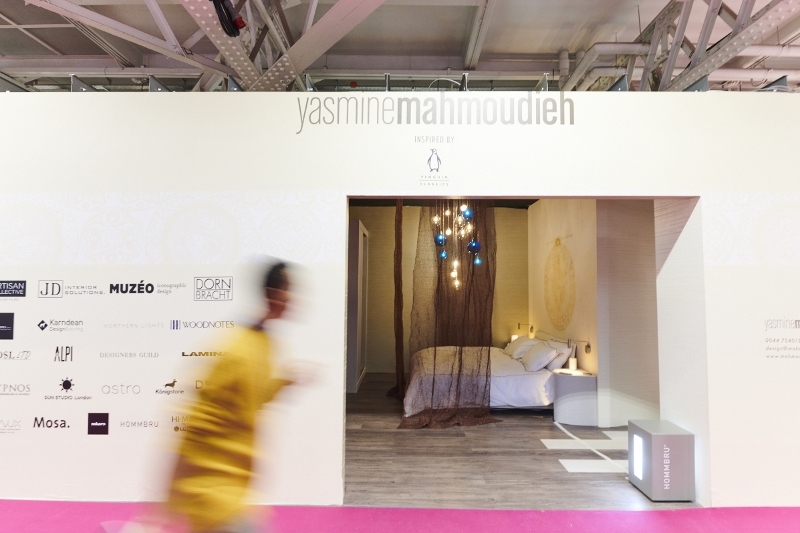 I have heard on the grapevine that Mahmoudieh has her eye on yet another world (apparently for this visionary, interior design and architecture isn’t enough) that she is considering entering the hospitality world to become a hotel owner. Starting from scratch, I would expect nothing less, Mahmoudieh’s idea is to create a new kind of country house hotel retreat in England. “It’s true, I have been drawing this up as a concept that is going to be an architecturally driven, warming English country farmhouse,” she says clearly keeping some pieces of the puzzle close to her chest. 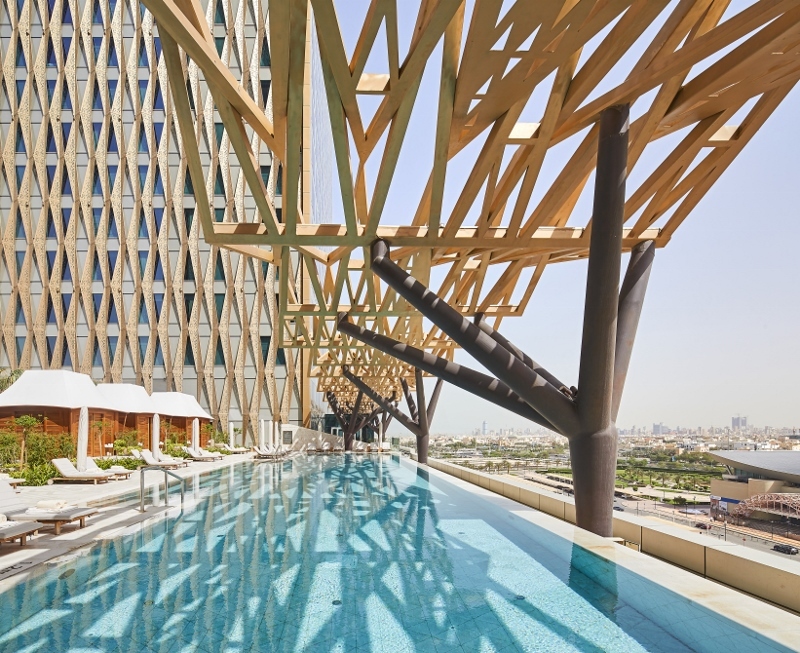 I’m inspired massively by Mahmoudieh’s for not only her enthusiasm for innovative design, but also her fearless approach to diving into new sectors in order to constantly push international hotel design forward. We end our delightful time together with a quote that she she uses as her mantra, which she first heard from her university mentor: “Don’t do something different if it’s not better.” And all of a sudden, everything that Mahmoudieh has spoken about makes that much more sense, and I totally share her drive and spirit that makes her the architect, designer – and soon-to-be hotelier – that she is today. 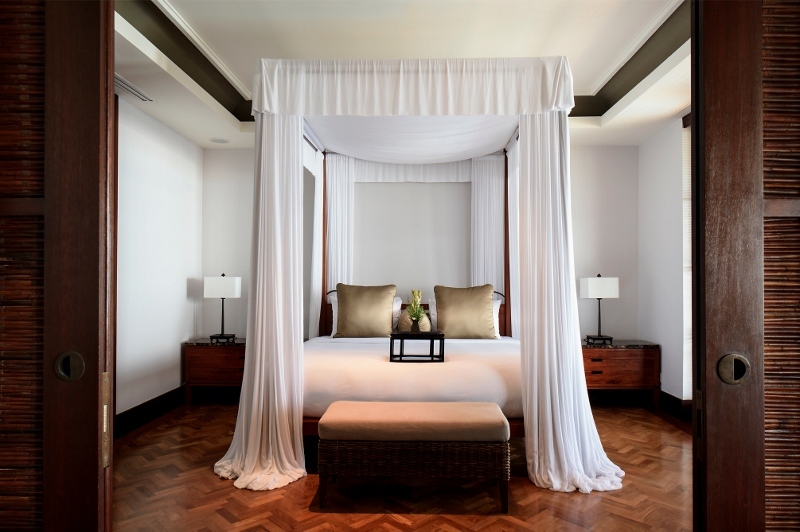 With a new hotel about to open just over the horizon, which will add to the LHM (Legian Hotel Management) portfolio, the luxe hotel group is starting to find its bare-foot luxury feet in the international hotel design sands. 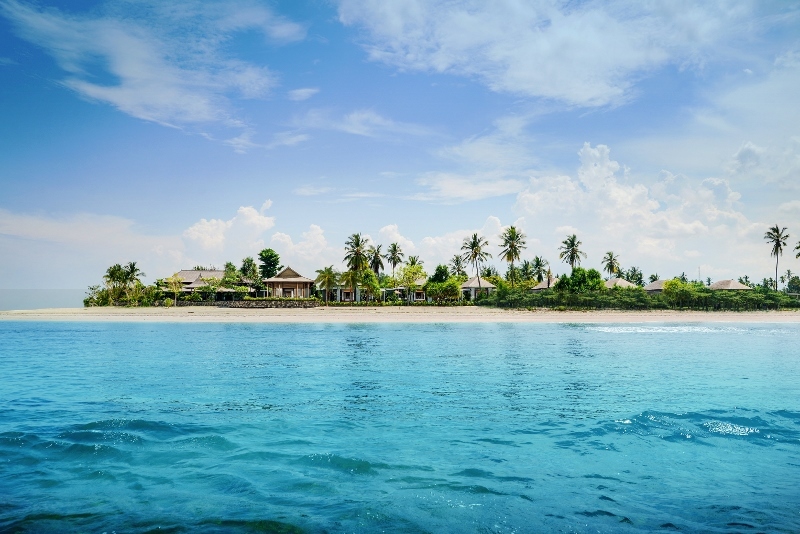 Currently based in Indonesia with plans to expand across the globe, its ambition to “raise expectations of what a holiday can be” has been set in stone by the COO and co-founder Hans Joerg Meier. 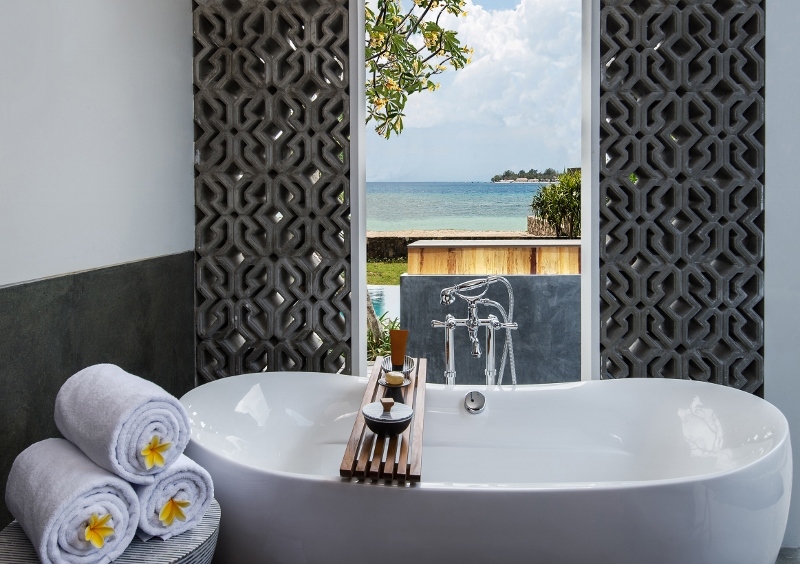 As its next hotel, The Legian Sire, Lombok, prepares for a Q1 2019 Launch, we caught up with Joerg Meier to find out what the future for the hotel group looks like. Hamish Kilburn: What has LHM identified as differences in markets between Indonesia and Europe? Hans Joerg Meier: Travellers from Europe are seeking an authentic Indonesian/Balinese cultural experience – the warm and sincere service/hospitality. Furthermore, European guests want to travel around the island, visiting temples, renowned rice paddies, tasting local cuisine and attending cooking classes. Many are also keen to attend/participate in a local ceremony. Our regular guests from the local Indonesian market are very familiar with Bali/Seminyak where The Legian is located, and most seek a getaway to relax in the hotel from the pressures of their working lifestyle. They come to wine and dine and visit friends. This pattern is also similar with our regional markets from Hong Kong and Singapore. Both European and Indonesian markets are very interested in our wellness programs and following this we have recently launched a new wellness concept ‘Wellness by the Legian’ which will be available in all LHM hotels. HK: There seems to be a lot of emphasis on experiences when it comes to luxury travel. Is the experience more important than the product these days? HJM: I am of the opinion that both are equally important. A good product is imperative and superior guest experiences personifies the product and vice versa. They synergize each other and are essential for the luxury traveller. HK: Can you explain the design ethos of LHM properties? HJM: Each LHM property is/will be exquisitely crafted by renowned architects and interior designers as well as legendary local artisans. This will reflect the sophisticated taste of our refined clientele who will feel right at home within LHM’s exceptional natural timeless surroundings, each one tastefully and utterly unique in their style. 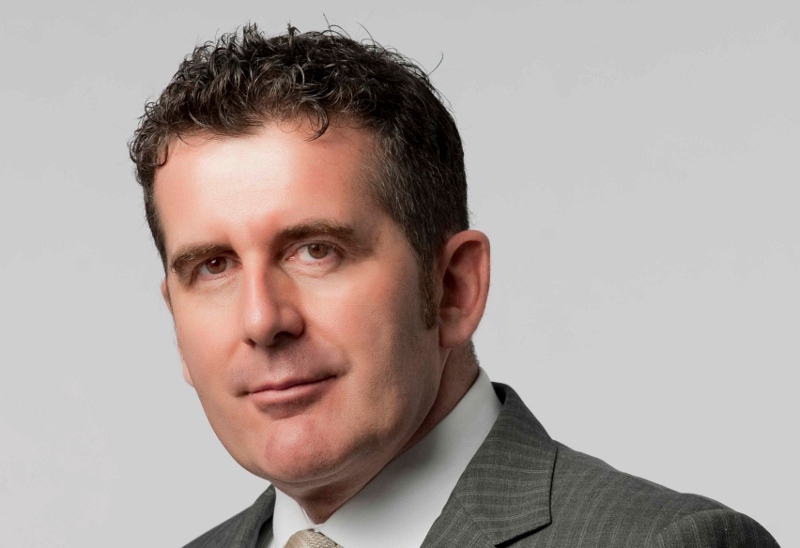 HK: What are the main challenges for a new hotel group in today’s hotel landscape? HJM: The main challenges include coming up with unique selling/marketing ideas which clearly differentiate the brand from the many competitors. It is also important to have a clear strategy in place and stick to it, not to follow every single trend, but rather create a bespoke experience. New hotel groups need to have a solid structure in place which allows the brand to expand on firm grounds without becoming too corporate. The key element is to form a strong team and nurture talents to take on more responsibility and to fully embrace the culture of the company. It is important that the team truly understands and is passionate about the brand so the company can successfully expand in the right direction. People are key in our industry as every guest interaction is vital. HK: How did the management team come together? HJM: Our first property, The Legian, Seminyak Bali has been owned by the Djohan’s family since the opening in 1996. Irma Djohan, The youngest daughter of Robby and Nanan Djohan, has a career in banking and at the same time was mentored by her father to eventually become a partner at LHM. Ralf Ohletz von Plattenberg was working for Adrain Zecha at Aman and GHM for over 30 years and was part of the team who setup The Legian. As for myself, I was working with GHM, who managed The Legian, for 15 years. Therefore, Irma, Ralf and myself knew each other. 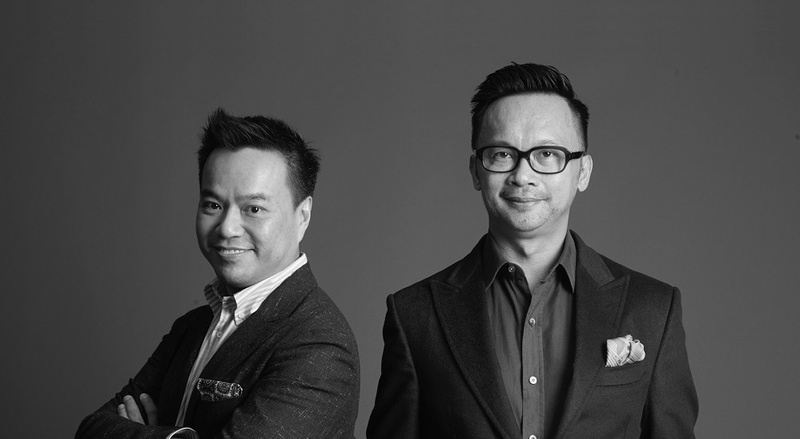 When the late Robby Djohan decided to start his own management company, he brought the 3 of us together help him form LHM, based on our diversified backgrounds. HK: The team clearly has a lot of experience in luxury. 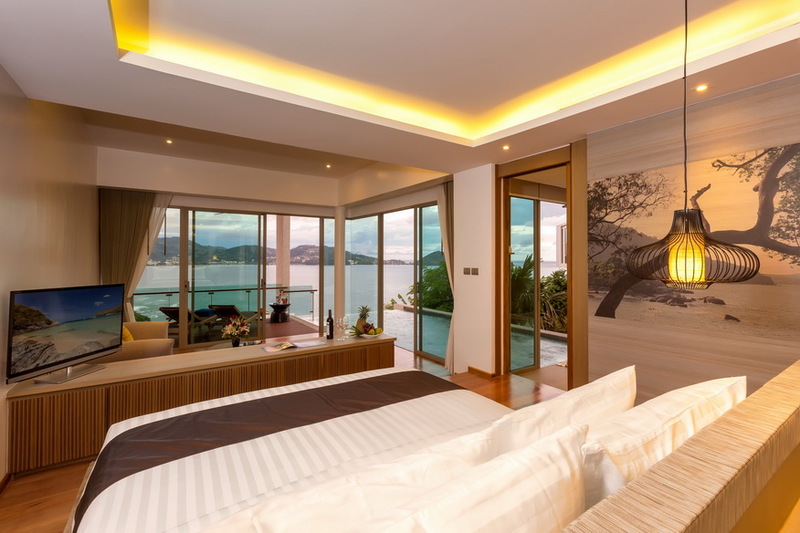 What key elements have you taken from Como, Peninsula and Aman to make LHM truly luxurious? HJM: The LHM team have utilised their experience to create LHM’s own bespoke luxury key elements. LHM balances authentic unsurpassed service within captivating environments of exquisite craftsmanship reflecting the sophisticated lifestyle and intellectual curiosity of our guests. Every LHM property reflects its location, culture and people and does not wish to be a ‘cookie cutter’ brand. The one main key element I have taken from all my experience is that the people are key to creating a truly memorable and luxurious experience. 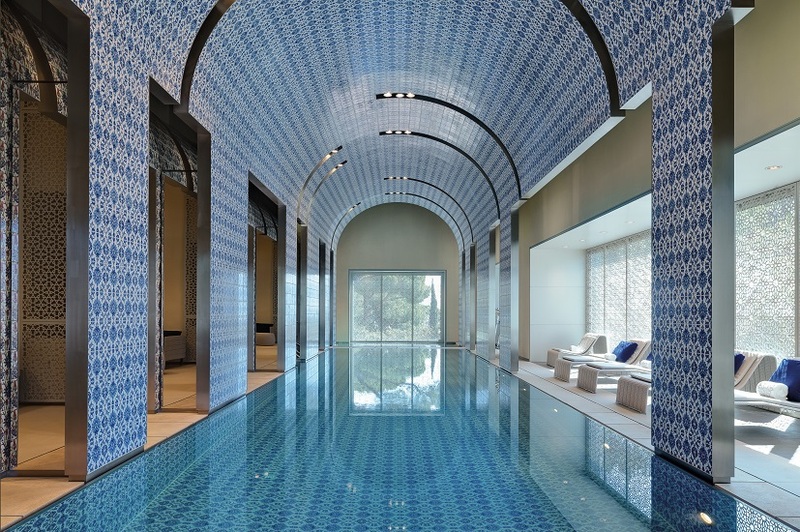 HK: How important is location when expanding a luxury hotel portfolio? HJM: Location is important not just for each individual property but expansion should be based on a strategic plan. Some destinations may complement each other which can be of great advantage to boost occupancy. LHM’s 5 year business plan focussed on Indonesia and South East Asia which allows us to streamline efforts and keep operations efficient. Redesigning a classic is a task not to be taken lightly. It’s a design opportunity that involves walking a tightrope between respecting the past and opening oneself up to contemporary ideas. 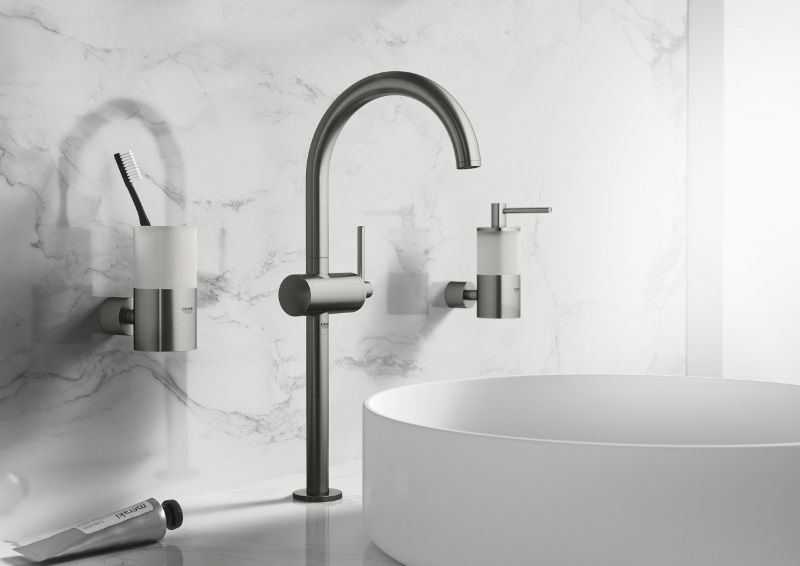 Grohe’s Vice President of Design Michael Seum, however, was delighted to step up to the challenge with the classic Grohe Atrio faucet. It was, he says, an exciting opportunity to build on the strengths of this Grohe icon while giving it a feeling of timelessness. 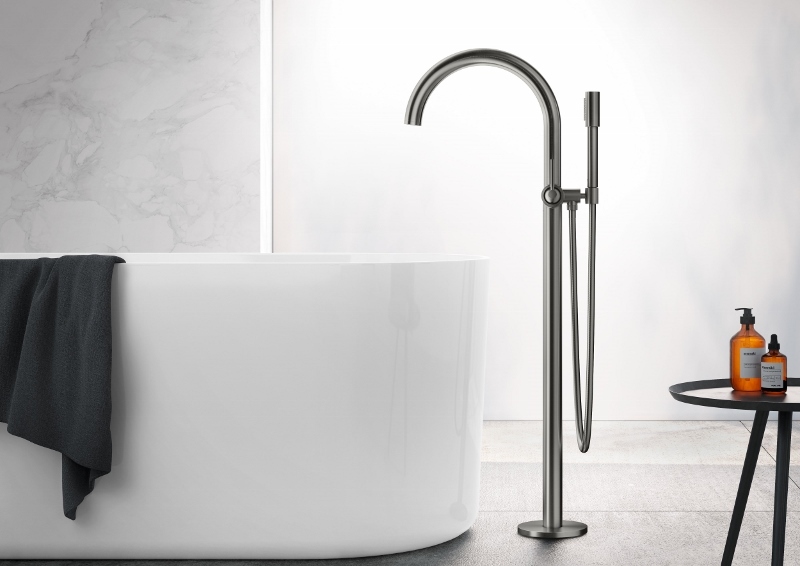 Grohe: What was the idea behind the new Atrio? Michael Seum: For me, the very definition of an icon is something you can draw from memory. We are calling this the icon of elegance and precision. The elegance is drawn from a single circle , or a cylinder right, which is one of the most feminine geometrical features you can find: pure and perfect. It;s a firmly contemporary design, but with the right interior decor strategy, it could fit in a classic or cosmopolitan environment. Because we’ve used such a simple, singular geometry, the precision has an analogue, tactile feel to it. So much of this world is digital and uber-connected that we felt like for our spa collection, we needed to have this tactility. And it’s done in such a way that even when you look at the design, all of the intersections are precise. Nothing is off-centre. G: How is is driven by the technology that’s inside, like the cartridges? MS: The quality of the design comes through the craftsmanship and also the precision of our high-quality cartridges. There are three principles that we draw from: the cylindrical element that drives the entire line, an absolutely pure intersection of all these geometries, and lastly, the obsessive attention to proportion. We wanted a design that celebrates the quality of the Grohe cartridge – its the perfect expression of our design DNA. G: How long, from first sketch to now, have you and your team been working on this? MS: We had a discussion about the possibility of having the spa geometry perfectly intersect, I think, about 18 months ago. While we came pretty quickly to the idea, the execution was actually the hardest part of the job; getting the engineering team to find a way to do that. G: What challenges did you have to overcome with the engineering? MS: The engineers saw the potential of the design. But they also saw that it was their responsibility to help us realise it. So I’m really pleased at how they’ve embraced the design vision and made all of the technical elements work, going through such meticulous, geometrical work with the Atrio. This is where the precision of the tactile feedback, the craftsmanship, the quality, the handmade aspects – it’s all due to their efforts. G: How has the feedback on this product been so far? MS: We’ve had some sneak previews with a few long-standing customers and architects that we have very positive relationships with. We do a lot of work on projects that are two to five years – and the response when we put this on the table is just jaw-dropping. It really is iconic, it’s beautiful, it’s flexible and it’s simple. We designed something that allows architects or consumers to design spaces in so many different ways. The fact that the product is so simple means that it can work with different interior strategies. They see that immediately. G: What plans do you have for the Atrio in the future? MS: We will launch it in Spa Colours over time. Because this design is so neutral, we believe that this is the vehicle for expressing new colour and finish possibilities in the bathroom. It’s a design that works in so many different environments, from classic to contemporary to cosmopolitan. It has transformatative affect in those spaces. 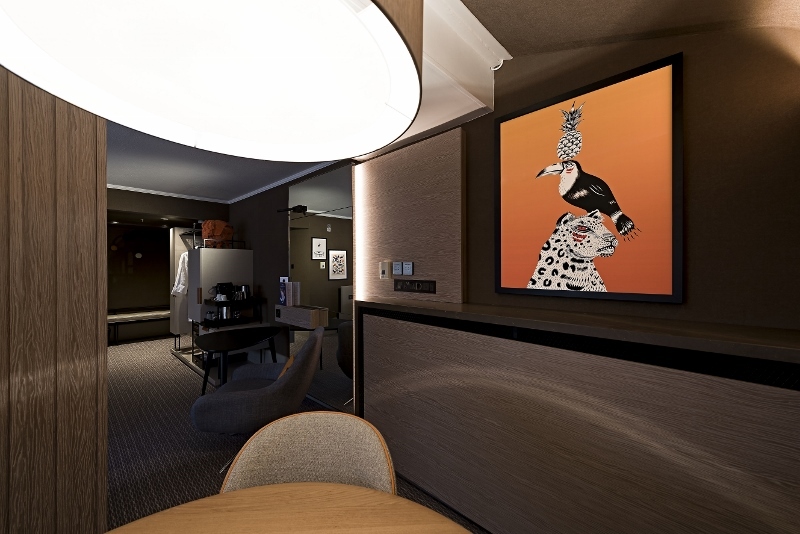 Image caption: ARTIQ were commissioned to curate an art collection for The Marriott Heathrow Conference, Banqueting & Event Space, redesigned by EPR Architects alongside works for the bedrooms, designed by Anita Rosato Interior Design. Find your voice: in terms of subject and style, don’t be swayed by trends as these change and you’ll be left behind. Know your business: from your prices to your intellectual property – spend a bit of time working out your pricing, do a bit of research on industry practice, a-n, The Artists Information Company has a lot of great resources. Think about how can you help clients ‘get’ your work? Maybe it’s the story, maybe’s it’s how many hours you spend on a piece or maybe it’s the materials? Think about what makes your process a ‘practice’. Draw the line (early): Do you want to only sell originals? Do you want to do editions? Decide what you want now – it can always shift but makes you less likely to make uncomfortable compromises later in your career. The commercial art world can get hectic in terms of pace, and you want to lay a solid foundation early on. Support others and they’ll return the favour: Whether it’s a gallerist, curator, or fellow artist – opportunities can come from the unlikeliest places. Find peers and mentors who truly want the best for you and can be trusted to advise on prices/opportunities/where your work is going. Don’t be afraid to ask for what you want: if the client is really interested in the work, they’ll bite – it’s a negotiation, so play your part! Grow your network! Go to shows, go to openings, network, be nice, ask for business cards and follow-up. Think about the volume of the art you’re specifcying. Think about areas of high traffic or strong perspective. The ends of corridors, lift lobbies or walk-ways wherever everyone will travel to their rooms. With a focus on key traffic areas and a reduction in volume, art can be carefully curated to impress continually. Since first meeting Gabriel Escarrer Jaume three years ago at what was the newly opened ME London, things have changed – but the same visionary remains to steer Meliá Hotels International into new waters, while keeping the brand fresh and always ahead of the curve. 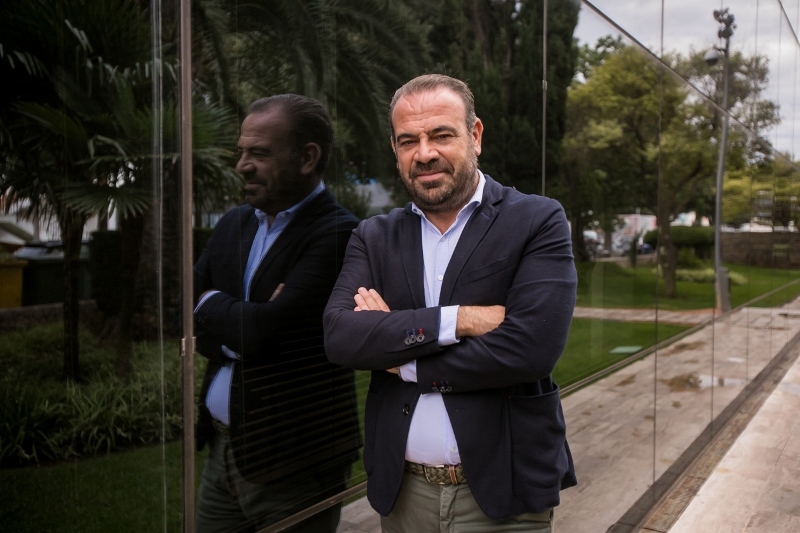 But in addition to the more obvious evolution that a hotel chain experiences – with new openings hapenning all over the world – Escarrer Jaume is also leading strong initiatives throughout the brand. The brand is reducing water usage per stay by eight per cent, achieving 70 per cent overall green energy use, all while achieving sustainability certification for 52 per cent of hotels. 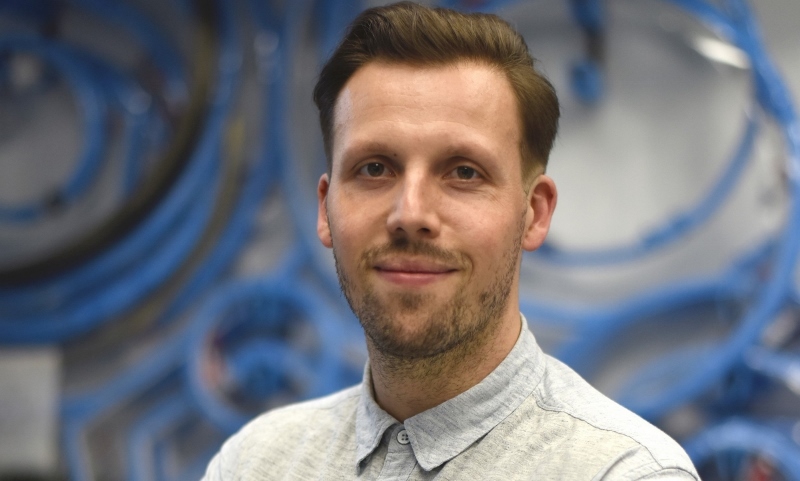 In addition, he aims to generalise sustainability clauses and codes in agreements and relationships with suppliers, ensure 90 per cent of suppliers are local and reduce CO2 emissions by 18.4 per cent per stay. It seems as if our meeting at WTM 2018 has come an appropriate time, and in between international phone calls to suppliers and contractors while keeping track of the 325 open hotels within the portfolio, he joins me for a coffee. Hamish Kilburn: Having read a lot about the hotel group’s plans, how are you achieving to reduce water usage throughout the entire hotel portfolio? Gabriel Escarrer Jaume: Sustainability has to always played a major role for the family owned company – we have strong values. Water savings is key. We have been working to help reduce water wastage mainly in the public areas. We also have plans to help save water usage in the rooms without it affecting the overall guest experience. The goal is to continue to reduce water wastage per stay by eight per cent year-on-year, and we have done so for the past three years. HK: I believe that the group has 59 hotels currently in the pipeline, when will they be completed by? GEJ: The goal is to have these open within the next two and half years. HK: How has consumer behaviour changed in the last few years, and how have you adapted your hotels to cater to the modern traveller? GEJ: It affects it a lot. In my opinion, sustainability has always played a major role in hotel design, but even more so now, it seems. I believe that our hotels have helped the modern traveller explore new areas around the world. Part of our business model has been to develop hotels in new destinations. As you would expect, we are now in places such as Dominican Republic, Cuba, Mexico, Costa Rica etc. But we are also making an impact in places like Zanzibar, Tanzania and Cape Verde. We approach each new hotel with tremendous respect to the local culture and the environment. HK: Africa seems to be a major focus at the moment, why is that? GEJ: Yes, but you won’t find us in the capital cities as we, like lour guests, prefer to explore new areas that are not necessarily on the tourist map. Meliá Hotels were the pioneers in Cape Verde, for example. We feel as if we can do the same in Africa. Serengeti is a focus for us, as well as Arusha which will be announced soon. There is a huge potential to develop hotels in Africa – and in fact the third-world. HK: With The Brit List 2018 on the horizon, why is the UK such a major design hot spot? GEJ: London has so much to offer for creative minds. Like all of our hotels around the world, London is iconic in its design. When guests check into the ME London, we want them to recognise and to feel the design of British architect Norman Foster. All of our hotels around the world have been deliberately designed with local architects and designers. We are working very closely with Zaha Hadid Architects at the moment with a hotel in Malta. Paris’ Melia ME was designed by Dominique Le Roux. All of these hotels have been created, from the very beginning, by real local legends in design. 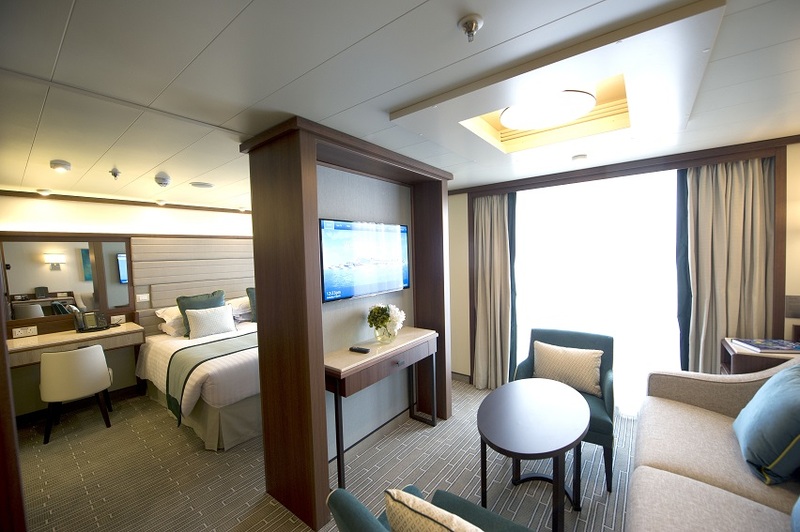 HK: Will Meliá Hotels International be making a splash in Malta? GEJ: Yes, in fact we are working with Zaha Hadid Architects on that project at the moment, which is scheduled to open next year. HK: What’s your favourite colour? HK: What’s the number-one tool for success in hotel development? HK: What can you not travel without? HK: Who is your inspiration? HK: How do you shut off from work? GEJ: I love sailing – it’s so peaceful. 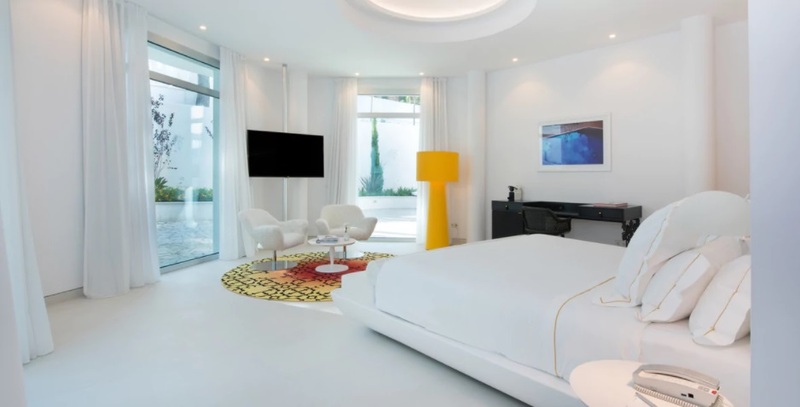 Meliá Hotels International is the leading hotel Group in Spain and the third leading Globally, and has over 50 new hotels in its current pipeline. 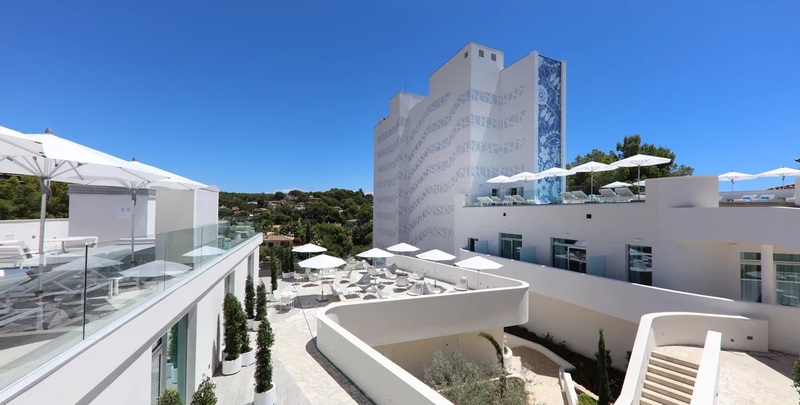 The Group is continuing to invest in loyal markets such as Spain, continuing the regeneration of Magaluf with pivotal new opening The Plaza, whilst expanding into emerging markets such as APAC, where the Group is opening 20 new hotels before the end of 2020. In fact, it seems as if the hotel group is expanding all over the globe and delving into areas where no group before has dared to venture. 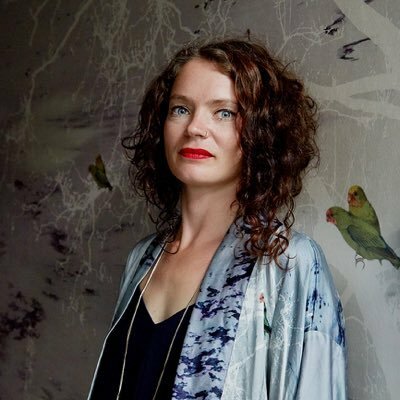 Ahead of this year’s Independent Hotel Show 2018, Hotel Designs went behind the scenes to catch up with Katja Behre of Elli Popp, the design partner to the Innovation Stage at IHS 2018. 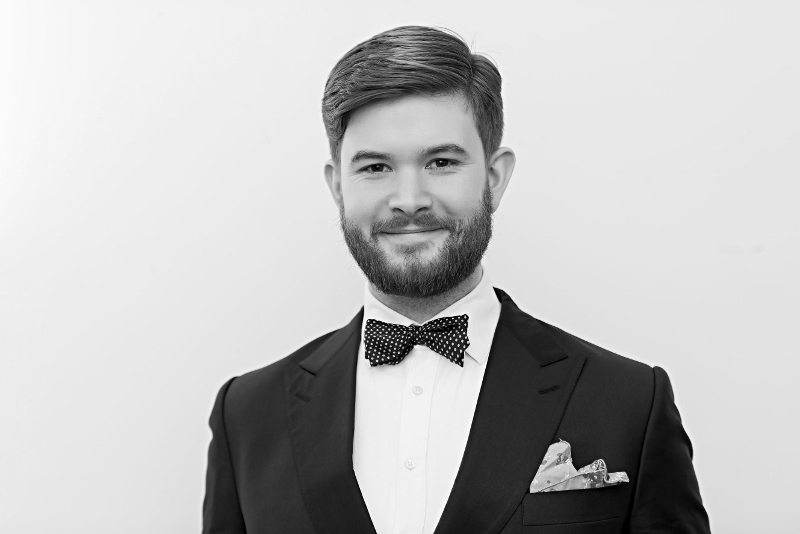 Hamish Kilburn: What are your clients currently looking for in hotel design? Katja Behre: Storytelling is big. We’ve worked on a lot of customised designs over the past year and our clients love how we can incorporate and merge personal photos and drawings into our existing designs to create unique pieces. We also add a lot of ‘hide and seek’ images to the murals and can change the layouts of patterns so they complement the client’s architectural features and shapes. We have also created exclusive murals from scratch based on a client’s brief. 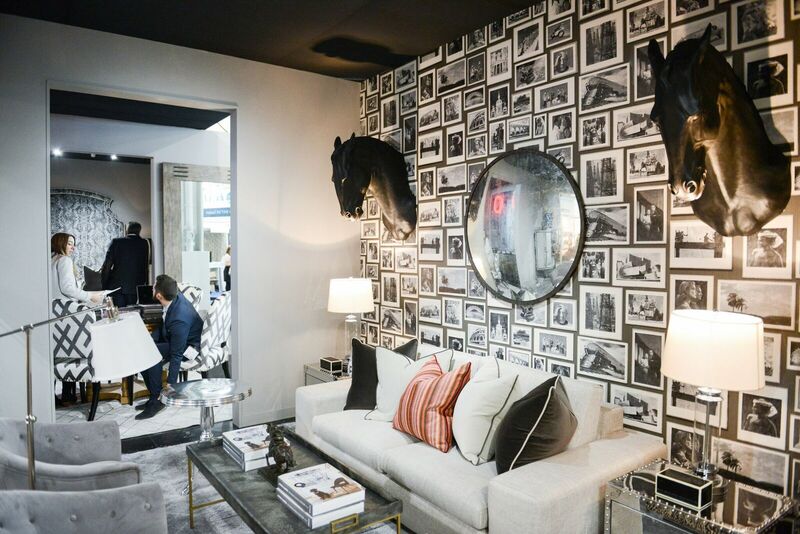 HK: What are the key trends you’re noticing in hotel design? KB: That’s a difficult question to answer as I don’t follow trends, nor do I look out for them. I do what feels right and as trends come and go, I always try and create timeless designs, which from time-to-time happen to be in trend. Most of our best-selling designs are between one and six-years-old and still don’t seem to fade out. HK: If a hotelier is looking to improve the design of their property, what top tips would you give them to ensure they do it right? KB: I come from a colour design background and think it’s important to work with someone who can advise on colour schemes as every colour can have a different meaning. The same colour can even have a different impact depending on the surface and product it’s on as well as carrying different messages and meanings, both psychological and emotionally. My advice is to look into the importance of colour and check that those you like will work within the hotel environment. What might work well in fashion, might not work in interiors. Colours and patterns can also have different meanings depending on where you are in the world. I also think that people always feel comfortable with designs that connect them to nature – whether that’s plants, flowers, insects or animals. Any design with a connection to nature will be popular. HK: Where do you find inspiration for your designs? KB: Everywhere. I approach the world and life with open eyes and curiosity to find beauty in everything. We are so conditioned in so many ways that we forget that everything carries beauty and inspiration. Our surroundings are full of inspiring and special moments, appearances and shapes. Everything can be turned into something special with the right approach. KB: We will have a total of seven creative companies present on stage. 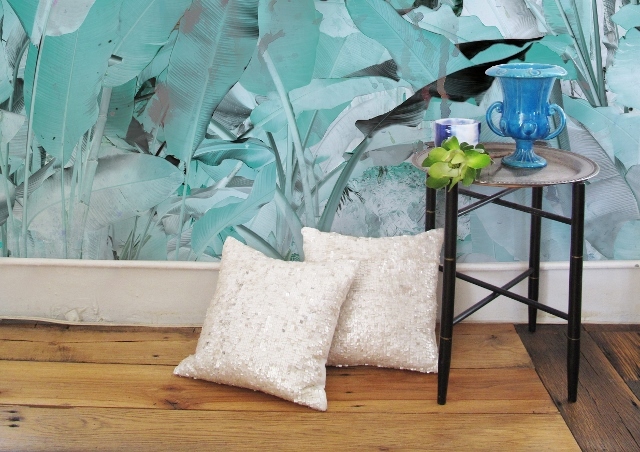 Our own Elli Popp wallpapers will be supported by Tektura who we have worked with in the past. 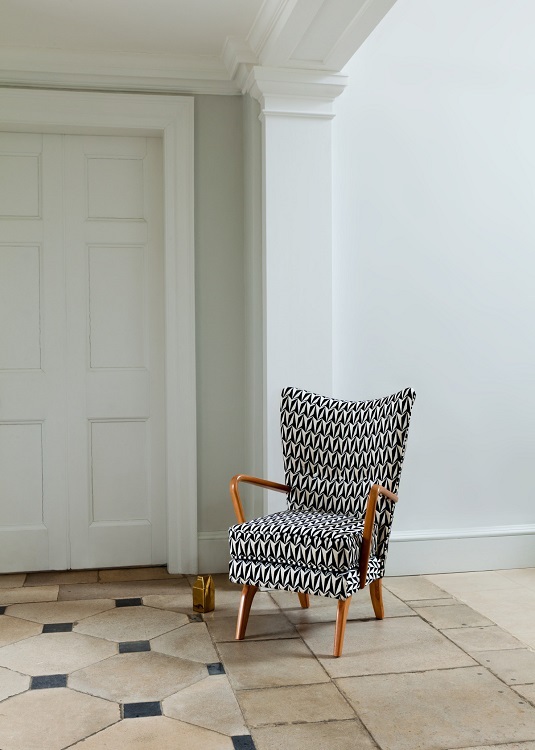 We have furniture in collaboration with Jonathan Charles Fine Furniture and will have two vintage chairs on stage re-upholstered with one of our latest mural patterns which has been created by local upholsterer Polly Chetwynd Stapylton. You’ll also see decorative lights by Emerald Faerie, small decorative pieces by Jimmie Martin and flower and plant arrangements by Aude de Liedekerke. HK: What key tip would you give to a designer just starting out? KB: Be true to yourself and your own style. Be open and friendly to anyone and everyone, help others as others will help you. Don’t end up copying fellow designers or larger companies – and if you do, than change it as much as you can making it your own individual version. Take inspiration from the past in art, design, fashion and culture, but create something new. I love Art Nouveau and Art Deco, but make designs my own by adding my own modern twist. 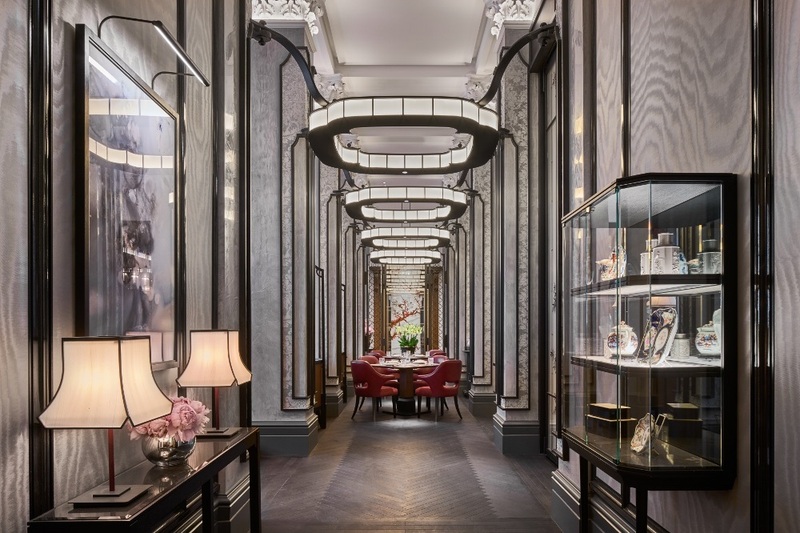 In a quiet café just off London’s Sloane Square, which is a pleasant experience itself, something amazing is happening: I am about to meet one of the men behind a new hotel collection that inspires through one-off experiences. The sharp-looking businessman approaches my table and takes off his tailored blazer and rolls up his sleeves to shake my hand, which breaks down all formal barriers. 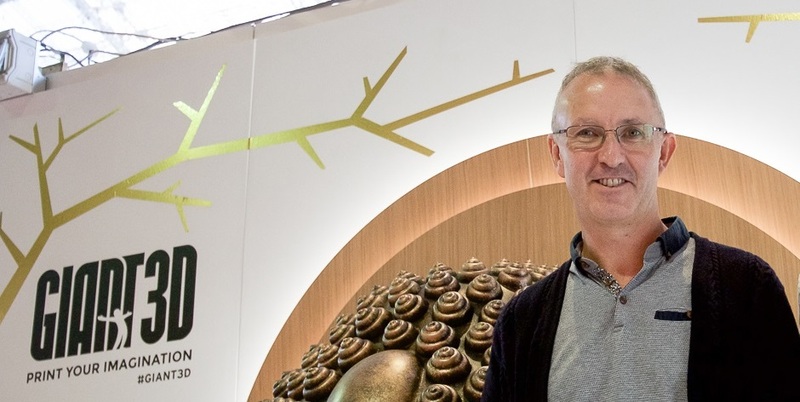 The CEO and co-founder of Utopian Hotel Collection, Ronald Homsy, sits down comfortably and starts to share what I can tell has been a driving passion of his for years. Ronald assures me that a hotel cannot be a member of Utopian Hotel Collection if there isn’t something exquisite about the design. Having previously read how he has worked in the restaurant and club scene before, it strikes me that Ronald is not unfamiliar of good design that works, or luxury for that matter. “Sometimes design works best when there is no design,” he says drawing me in as I am a sucker for minimalism. “A lot of our hotels within our brand are actually old buildings and they have something authentic about the interiors. To disrupt that would be wrong, so instead we aim to elevate it.” It doesn’t take a genius to realise that Ronald is looking for unexpected gems. Portugal’s São Lourenço Do Barrocal is a great example of this as it combines understated luxury with the simplicity of farm life and is one of the 25 hotels that the brand has securely under its umbrella. Helping hotels do better on all levels, the collection to me feels like an older, wiser and perhaps more knowledgeable brother who will help guide its siblings through life spotting and taking advantage of opportunities. Ronald strikes me as a man who listens in business, which is fresh, as he asks me my thoughts on whether I have come across any areas or hotels that slot in line with Utopian Collection. “Have you heard of Nevis,” I spill, almost interrupting his question. I explain how on the untouched Caribbean island, with no building is taller than a palm tree, is somewhere that has to be experienced to believe. The island has not one fast-food restaurant, which naturally fits in with the huge wellness wave that everyone is riding at the moment – and most importantly, the hotels are naturally stunning with the location itself doing most of the talking. I imagine that Ronald gets this a lot, but his general interest makes me feel as if he’s one for researching new places that have a unique core. RH: Nevis now that you’ve mentioned it! HK: What’s your number one travel essential? HK: Biggest inspiration in business? HK: Biggest inspiration in life? At first, luxury simply equalled opulence. Today, it is just as much about attitude. 72 per cent of people would rather spend money on experiences than things; with travellers now seeking more than just exceptional service, fittings and furnishings. There’s an appetite for the intangible and a desire for truly authentic adventures which enrich and surprise. This same zest flows through every Utopian hotel which bears a luxury no longer defined by the old school; but by exceptional service, a richness of experience, one-off authenticity and the verve of youth. Despite the hotel collection focusing its sights on the amazing unique properties in Europe, it seems to me that Ronald’s interest in my one suggestion of a tiny island with a huge personality is an almost firm indication that his sights are firmly on the world and all the opportunities that it holds. Given the gap in the market, I’m sure this is just the start of what is going to be an amazing experience for the hotel collection. Recently, design company Cameron Design House has been making some serious ripples in international hotel design. Through its cutting-edge design, the company uniquely prides itself on everything that comes out of its factory being handmade. 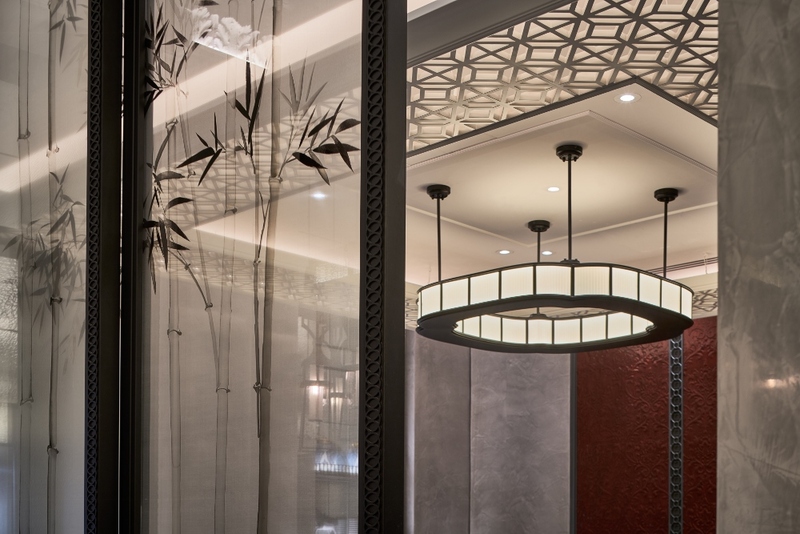 With this level of detail behind every product, I was curious to find out how the company is coping with the increasing demand, since the spotlight this year is well and firmly on lighting technology in international hotel design – pun intended. Hamish Kilburn: Ian, what challenges do you face with everything being handmade? Ian Cameron: As all of our pieces are handcrafted with a focus on perfecting the most intricate of details, each design involves a very specialist and creative manufacturing process. There are a number of different fabrication methods used for various designs, including the rolling, shaping or cutting of the metals. Although machinery is used for essential parts of the design process, every piece is assembled by hand, with the crystal profile diffusers all hand laid and every individual piece polished by hand. 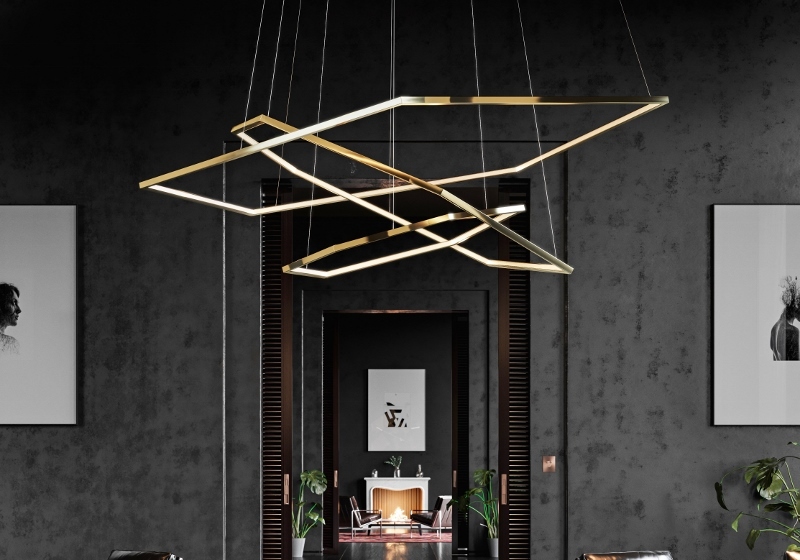 Meticulous attention to detail is applied to each design to ensure the electrical wiring is always hidden and the lighting element is concealed, enhancing the sculptural nature of each piece. 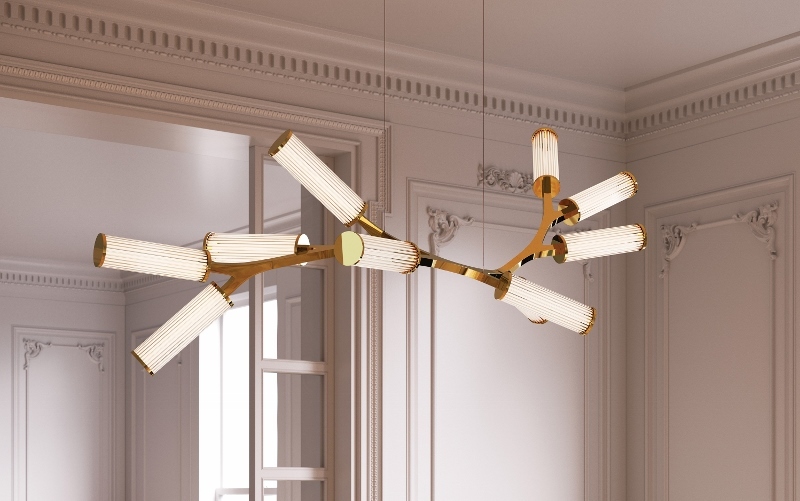 As an example of our commitment to detail, each of the lantern diffusers on the Haara chandelier consists of 33 individually positioned, hand-drawn glass rods and for some of the designs like the Haara, two years were spent perfecting the design to ensure the highest quality product and finish. 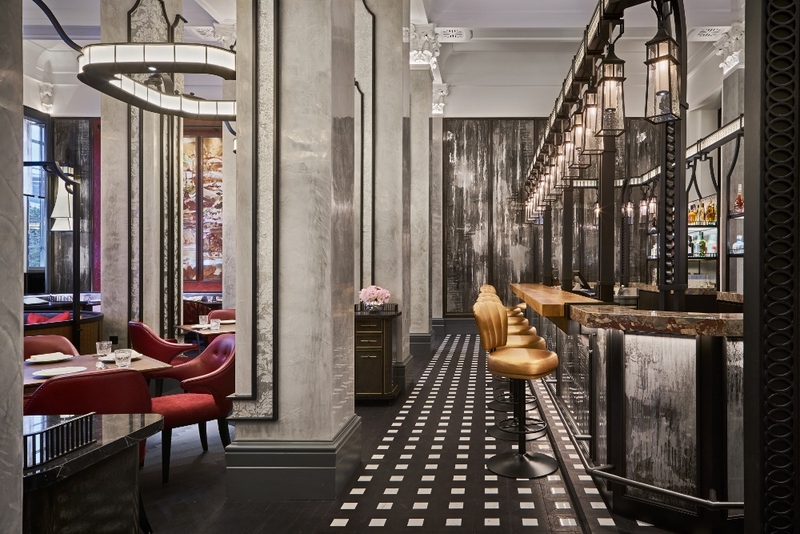 HK: This year we are bringing back The Brit List, as we continue to celebrate the most influential British interior designers, hoteliers and architects. In your opinion, what does London have that others in the world lack in regards to design? IC: London is a world leader in design, and always has been. In a world that is becoming more and more automated, British design and manufacturing couldn’t be more important. HK: How big is the team? We have expanded from a team of four to over 25 employees in just four years! It has been important for us to maintain a sustainable level of growth over these past four years and one of my personal highlights in expanding the team was being able to give my cousin a job in our workshop. HK: Can you explain a little bit more about the Bespoke Design Service you offer and how that’s unique? IC: We always take a design-led approach and allow the project to shape our process. At Cameron Design House, it is really important for us to work hand-in-hand with our clients to create a design that is not only visually beautiful but works with the requirements of the space. Custom sizing, configuration and finishes are available across our collection, however providing a bespoke product is not enough and we always provide a bespoke design service to ensure the piece perfectly complements the individual nature of the project. 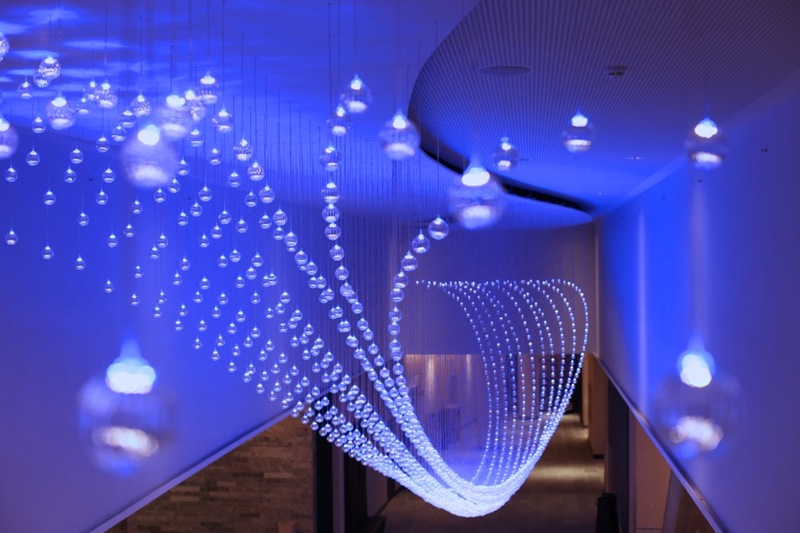 For the example when the Hilton in Minneapolis approached us, they were looking for a specific collection of lighting pieces to perfectly complement the vast space within the hallway. 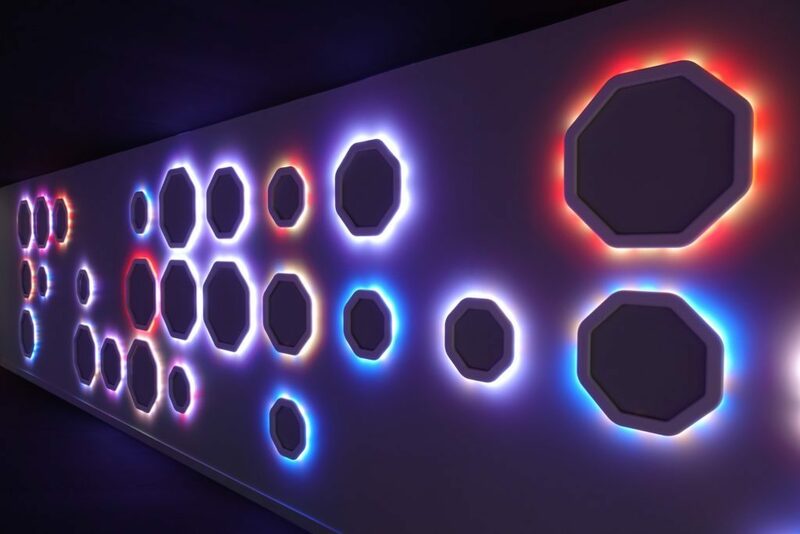 With that in mind, we worked closely with their design team to configure a group of Lohja lighting pieces that have become the centrepiece of the space. HK: Where do you find your inspiration for the products you design and create? IC: All designers probably say the same thing, inspiration is everywhere and in everything but it is true. I am constantly fascinated by my surroundings and draw inspiration from literally everywhere, from sci-fi films, to nature and brutalism. We joke around the studio about the ongoing study of the great mathematician and designer Buckminster Fuller but we really do study his work and others like him. The ongoing study always leads to new ideas and innovations – it’s evolution. I have a strong Finnish heritage and I draw a lot of my inspiration from Finland as well as my travels abroad. London is a huge inspiration to me as well. In the past two years I have visited over 10 countries, and I think this has really helped me develop my vision and approach to new designs. 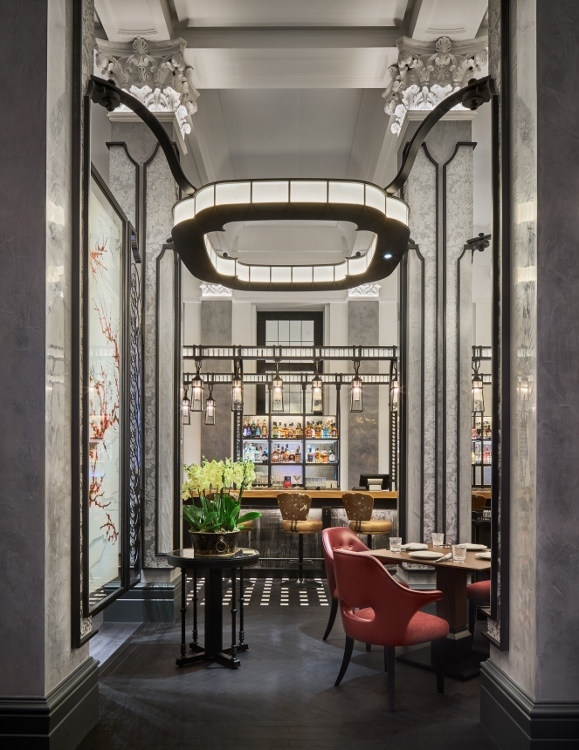 HK: How can a designer use lighting when designing a modern hotel in a heritage building? IC: Take the building as inspiration and work backwards. Don’t let the piece overwhelm the space. It’s important to use the space as inspiration when designing the lighting and work closely with the interior design team to find the perfect design solution. 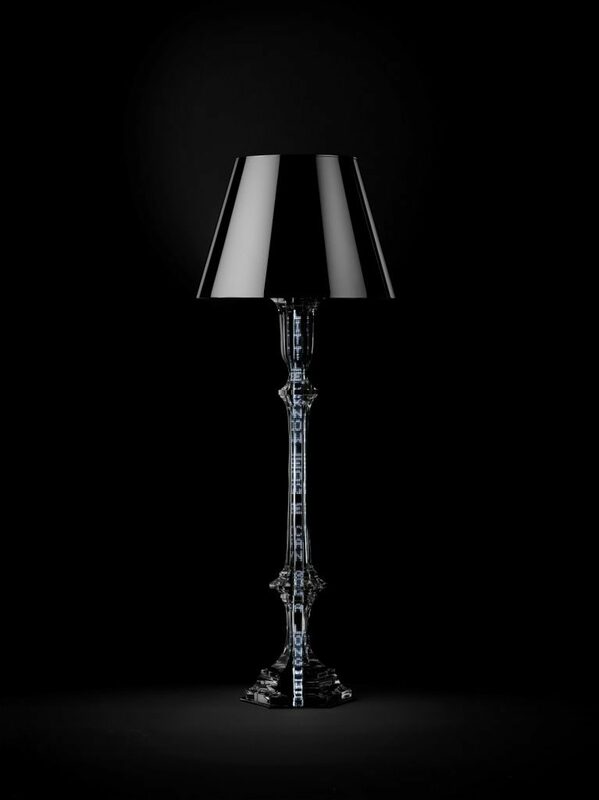 HK: It’s said that tech development in recent years has opened up the door wide on lighting design. How have your products developed with this technology? IC: Technology has given us more flexibility with our designs and allows us to work closely with our clients to create a piece that will perfectly complement their project. There are also environmental issues which need to be considered when designing in today’s design climate, it’s critical that this is deliberated through all stages of the creative process. Aside from the obvious responsible use of materials etc. 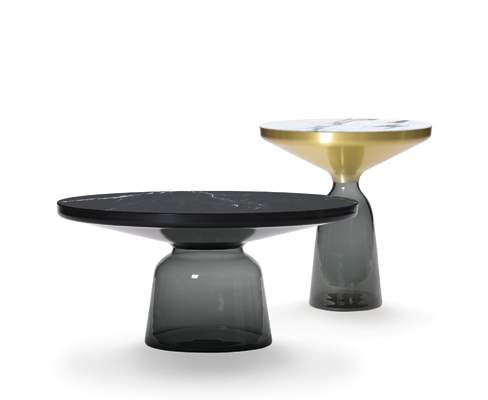 our approach is to design products that are lasting not only in terms of function but also lasting in terms of design. HK: Do you ever feel the pressure in having to push creativity’s limits? It’s important to believe in yourself and not to listen to the critics. It’s the dreamers in the world who design and build it and so instead of feeling the pressure of pushing your creative limits it’s important to be confident in your own unique vision and let your surroundings inspire the direction of design. Taking time out to explore new places is essential to my creative process and a great example of this is our Helmi chandelier, it’s the latest design within our collection and was inspired by a fishing trip near my hometown of Turku. Personally, I’m a soft pillow kind of man – take from that what you will. My colleague to the left of me on the other hand disagrees entirely and insists that without a hard pillow in a hotel he will not sleep a wink. A hotel that claims to be luxury that does not offer a good night’s sleep is not somewhere guests will rush back to check in to after they’ve checked out. Therefore, keeping the pillow options open to all and investing in good linen will go far to ensuring your guests have a comfortable stay. As technology continues to evolve, and while interior trends flow into the duvet, I sat down with linen experts Mitre Linen to put the topic into perspective. 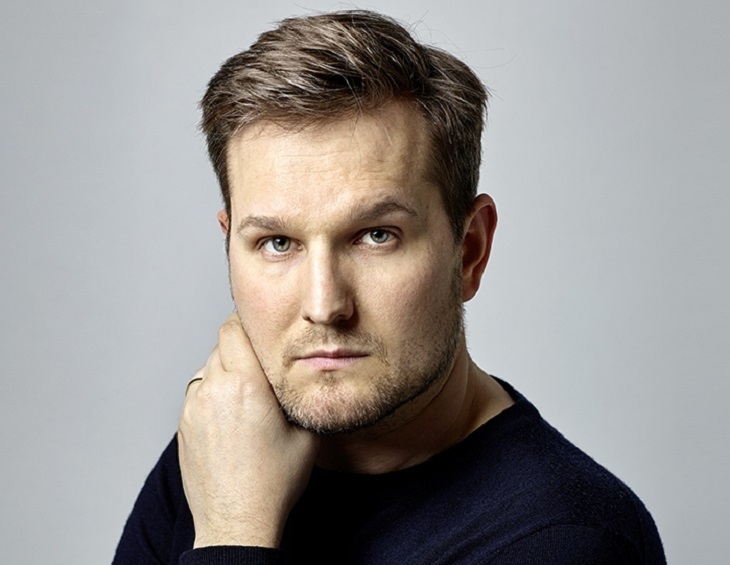 Hamish Kilburn: How has the company evolved with technology moving forwards? Kate Gough: Over the years, we have built a reputation for quality and reliability that has earned us the honour of HM The Queen’s Royal Warrant, which we have proudly held since 1955. Over the past 70 years, we have seen many changes within the industry, including major technological advances which have had a significant impact on many areas of our business, however, our key focus remains the same – offering exceptional customer service. We work as hard as ever to ensure that anyone who contacts the Mitre team is left feeling delighted. Our friendly team, based in Merthyr Tydfil, in the heart of the Welsh valleys, has always been at the end of the phone to take orders, or offer advice and support to our customers. For those who prefer to, online orders can be placed quickly and easily via our new website, with a convenient Fast Order option available for those in a hurry, while those seeking advice or with product queries can take advantage of our new online LiveChat feature, which is available Monday-Friday 8:30am to 5:00pm. We have created a selection of handy online Mitre Guides which is easily accessed via our website, helping our customers to make the right product choices for their needs. We also give online insight into the latest industry trends with our regularly updated Mitre Articles, which offer valuable advice from our experts, on topics such as the effective use of colour in hotel rooms, and tips on how to create a hygienic sleep environment. HK: What are your thoughts on the pillow menu? KG: The right pillow is essential to a comfortable night’s sleep – pillow menus are easy to create and can be as simple as offering the option of either a hard and soft pillow, depending on a guest’s personal preference. Mitre Linen offers a wide variety of pillow styles and constructions available to suit the desires of any sleeper, and we are happy to guide you in your choices, making it easy for your business to provide the perfect pillow menu. Our best-selling Comfort Palace Pillow features Quallofil extra life fibre which keeps it thick and plump, whilst ensuring a longer lifespan. The flame-retardant pillow is highly resistant to flattening, maintaining its shape after every use whilst retaining its soft profile, ensuring it’s quick and easy to achieve a welcoming bed. The Comfort Palace Pillow makes a great soft option for a pillow menu. The Comfort Ultraloft Pillow would be ideal as a firm option for a pillow menu. With a Hollowfibre fill, its thick, plump design has a weight of 850g. Covered in durable polycotton, it’s designed to last through regular heavy-duty use, and is flame retardant. We would also recommend that a pillow menu include at least one microfibre option, in order to offer the comfortable feel of feather and down without the risk of allergy. Mitre Linen’s Luxury Microfibre pillows are available in soft and firm variants, have 100% cotton covers with a 233 thread count, and conform perfectly to the head and neck to offer soft and comfortable support. For further information, see our detailed pillow guide. 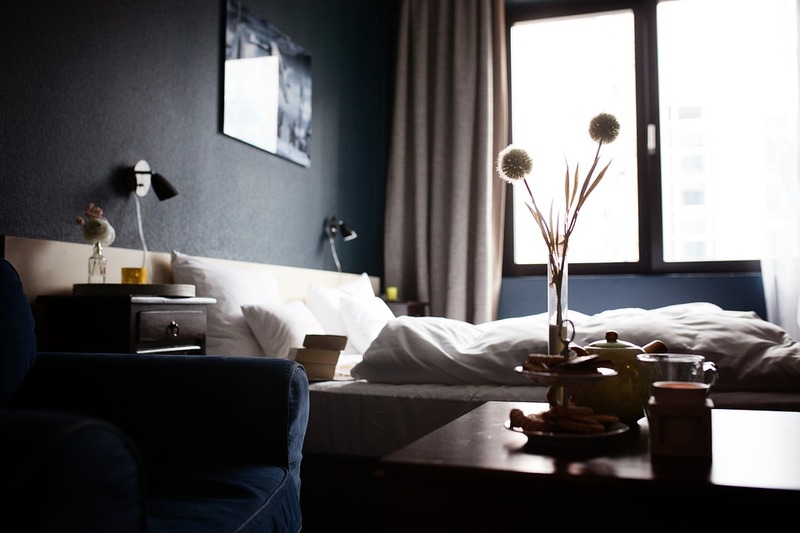 HK: How often should hotels replace bed linen? KG: Bed linen such as duvet covers and sheets should be replaced at the first sign of wear and tear. Within two years, one third of a pillow’s weight is made up of dead skin, dust mites, oil and dirt and considering that the average person produces one to two pints of sweat every night, then pillows and duvets should be regularly replaced. Protectors are invaluable to prolong the life of mattresses, duvets and pillows. 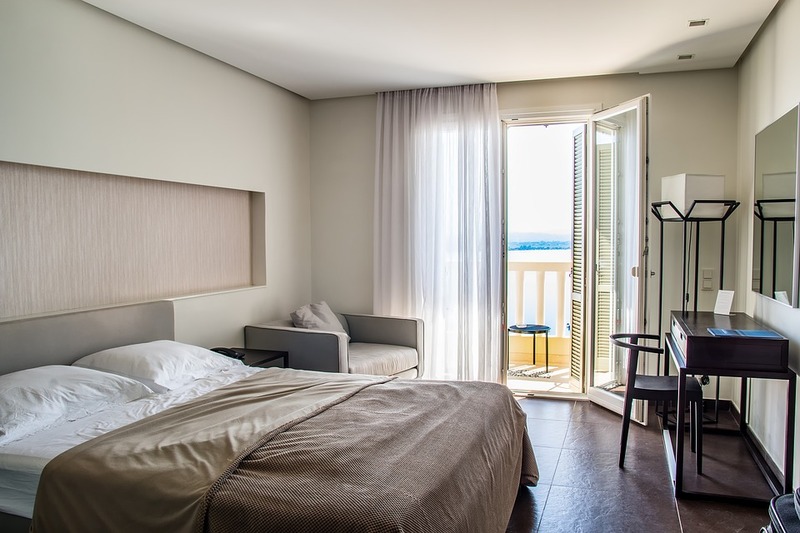 Not only do they provide a more hygienic sleeping environment for your guests as they can be regularly washed, but they also extend the life of bedding which is a significant investment for a business. HK: What are your thoughts on colourful bed sheets in the hotel guestroom? 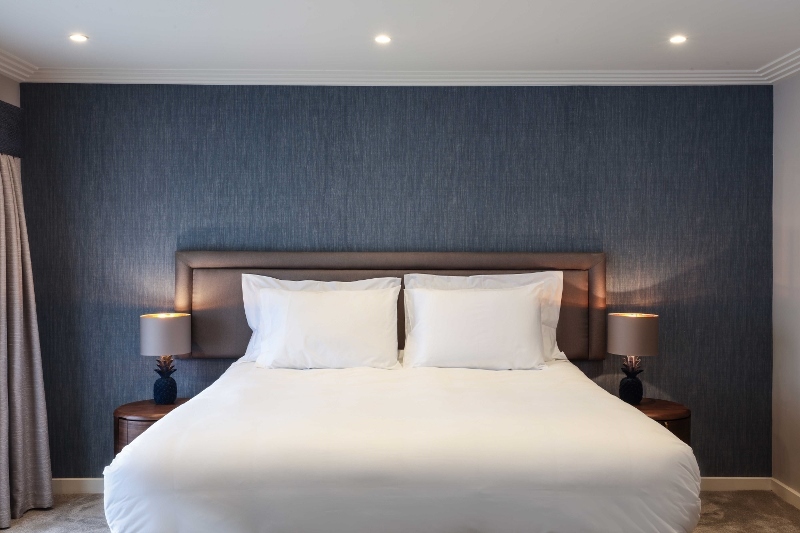 KG: Our white satin polycotton range is our biggest seller, and whilst recent Mitre Connects* hotelier feedback confirmed that white bedlinen is perennially popular, we did note quite a few comments requesting a larger range of good quality colourful bed linen. In response to this valuable feedback we have added colour options into our Egyptian Cotton Range – our gorgeous 100% cotton percale bedlinen is now also available in ruby red, raisin, blush pink, lead grey and saffron yellow, as well as our ever popular white. 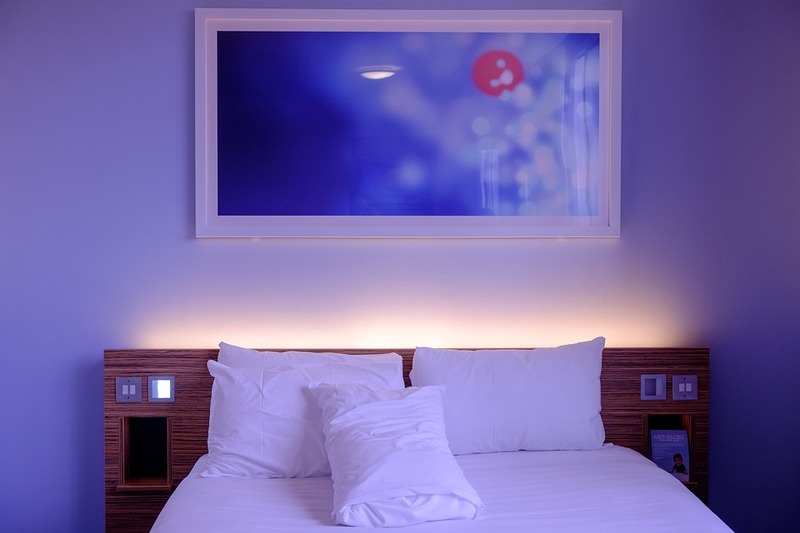 HK: What advice would you give to hotels when it comes to caring for bed linen? Always wash cotton bedlinen before use, at 50°C or 60°C. Expect 4-8 per cent shrinkage (Mitre Linen sizing allows for this). Hot iron when slightly damp to give a crisp finish. Don’t bleach, as this will reduce the life of the product. Soak stained bedding in water if immediate laundering is not possible. Wash polycotton bedlinen at 50°C. Use a detergent intended for colours (to avoid colour fade due to OBA build up). A light iron is suggested. For further advice on laundry care, please refer to our Linen Care Guide at www.mitrelinen.co.uk/care-guide. *MITRE CONNECTS SURVEY 2018 – The Mitre Connects Survey presents survey data from nearly 300 hospitality industry professionals. The answers provided offer a vital insight into the industry’s concerns on topics that affect day-to-day business and future planning for the hospitality industry. Mitre Linen are one of our recommended suppliers. To keep up to date with their news, click here. And, if you are interested in becoming one of our recommended suppliers, click here. 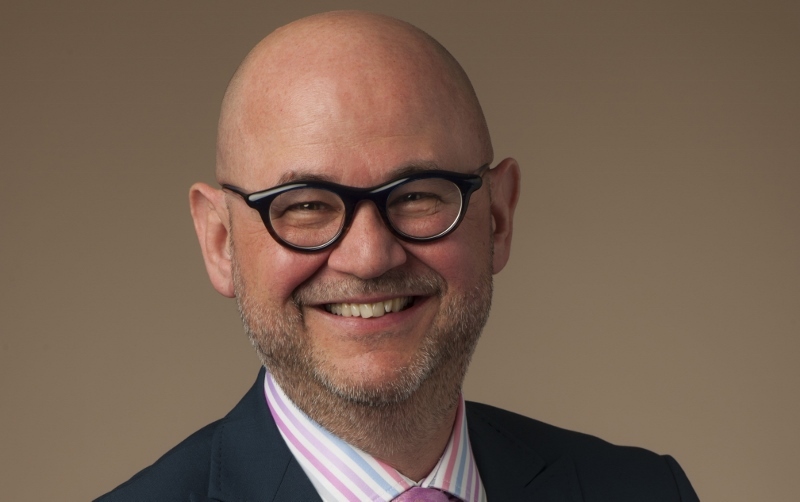 Wyndham Hotels & Resorts, the hospitality giant with more than 9,000 hotels worldwide, recently announced the appointment of Dimitris Manikis as the company’s new President and Managing Director for Europe, Middle East, Eurasia and Africa (EMEA). Hamish Kilburn: What are the Wyndham Wyndham Hotels & Resorts’ unique selling points? Dimitris Manikis: Our brand cannot be replicated. For us, we want to keep the authenticity. We want that to reflect in a way that can marry various cultures and locations. 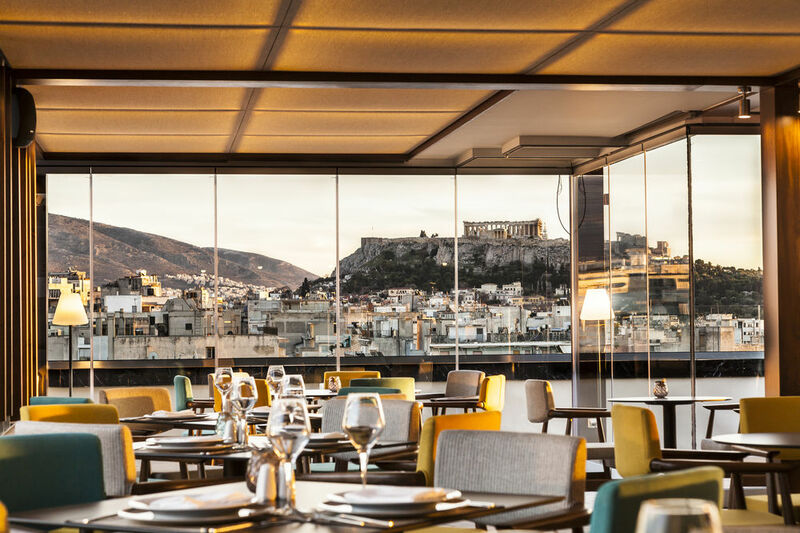 Wyndham Grand in Athens, for example, has a beautiful rooftop bar that overlooks the acropolis. You cannot have an acropolis anywhere in the world. Design is absolutely crucial for our brand. We actually have an Architecture, Innovation and Design team who work in-house, which allows us to continue to create twists in our hotel narratives. I think, through our USPs, we have helped to make travel more affordable in a very consistent manner. We introduced a soft brand – in terms of allowing properties to have their own attitude and personality. The design-centric Trademark is a brand that is very close to our hearts here in Europe. It’s a brand where you do not box the property into a standard category. We allow each hotel to have its own personality and authenticity, but we allow the team at the hotel the opportunity to piggyback on the group’s distribution and reputation. HK: What are the basic requirements that guests want when checking in to a hotel? DM: For them to smile and for them to be happy to be there. We feel, as a franchise model, that we give the owners the flexibility to use the destination as the backdrop and the inspiration. We want our guests to feel as if they are checking in to a home-from-home, and also that the Wyndham brand is giving them all of their needs to meet the basic requirements of the company DNA (safety, service, etc). Only then can we focus on the add-ons to make our guests feel special. It’s not easy, but our individuality is our key! DM: I’m not supposed to ask questions, but I will ask anyway. So in your job, what makes you say, ‘that hotel works’? HK: Do you know what’s really interesting? So many hotels open every day, all over the world. My job is to try to find gems; the hotels that are really worth writing about. Soon after finding a gem, I want to know all about the design story. For example, I reviewed a hotel once that was reopening in Sierra Nirvana in Spain. It wasn’t the location that captured my attention so much than the story behind the renovation. The hotel had in fact burnt down. The same design company that was involved in the original build was commissioned back, and that was the angle for me. It was like watching the hotel rise from the ashes! It was also fascinating to find out which elements the design company changed in the redesign, almost as if they were given a second chance to improve it to create the perfect hotel. The result was amazing! HK: Who is your biggest inspiration? DM: My dad. He’s the only person I know who does not have a passport. In fact, he has never left Greece. HK: Where, from a location point of view, is of most interest at the moment? DM: Honestly, I think everywhere that planes fly to. Our brand is very diverse and that includes opening hotels in tier 2 cities, which we believe is a huge opportunity. 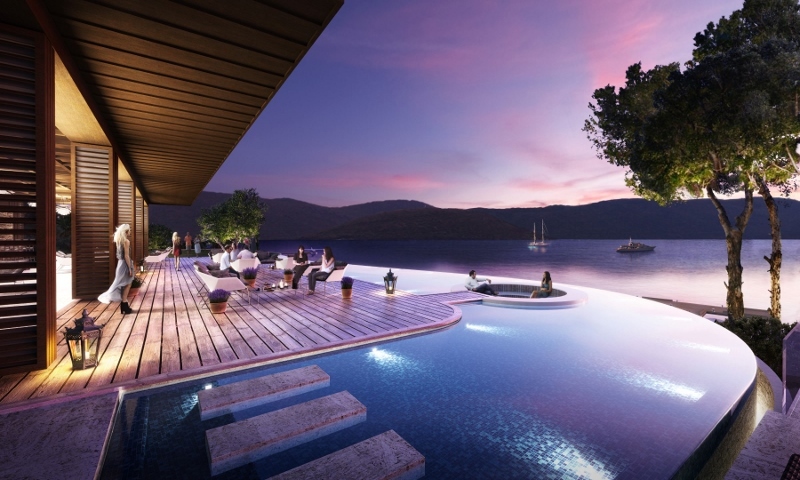 HK: With all the stories in the wider press about Turkey, does the region create any concern for the hotel brand when it comes to opening new properties? DM: I can tell you that our hotels in Turkey are doing extremely well. We are growing at a fast rate, with 65 properties in Turkey alone, and growing, we are one of the major hotel brands in the region. People will not stop travelling. Where ever travelers go, we plan to be there with a Wyndham hotel to welcome them. HK: What advice do you have for people starting out in this industry? DM: My personal motto is to have ‘Ethos, pathos and logos’, which translates to ethos, passion and logic. If you have passion, add logic and have a strong, positive ethos then you cannot go wrong, in my opinion. HK: How did you get into hospitality? DM: I originally wanted to study history and psychology in Greece, but someone persuaded me to go into business. I did four years at university studying business before I met the general manager at the Intercontinental in Athens. I applied to be a trainee. I was there for one year and six months. I cleaned more glasses and peeled more potatoes than most people would clean and peel in a lifetime. However, I learnt so much. I remember the GM, he was amazing! He used to carry his notebook around like a John major and had such a grand aura around him. For me, a 22-year-old aspiring to one day be a GM, he was gold. After that, I decided to ditch business to work in hospitality. I came to the UK to study tourism. The rest, as they say, is history – although I’m still not a GM! As we wrap up our meeting, I couldn’t help but wonder what it would be like to work with Dimitris. The man in retro-orange glasses also had an aura around him – one that was fun, fair and full of energy for the brand. 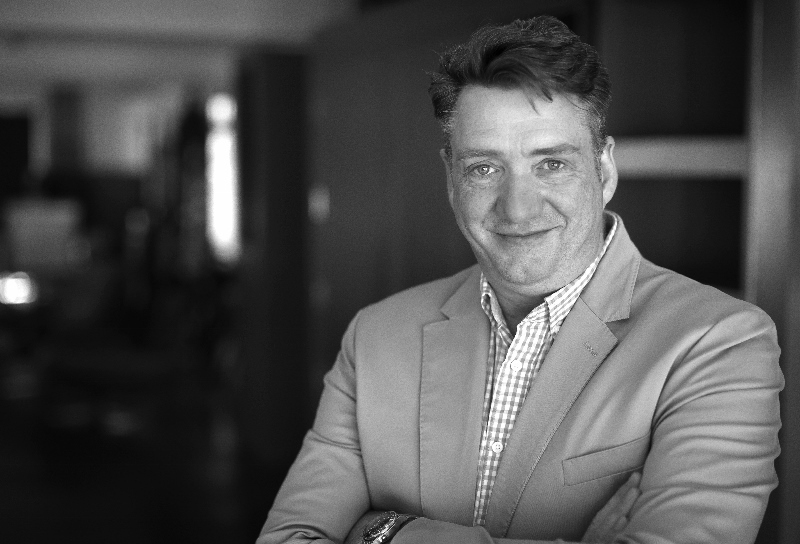 Pease joins WATG from Atkins North America where he was Head of Architecture and Building Engineering from 2014-2018. During that time, he grew the firm’s business by 40 per cent across six offices. 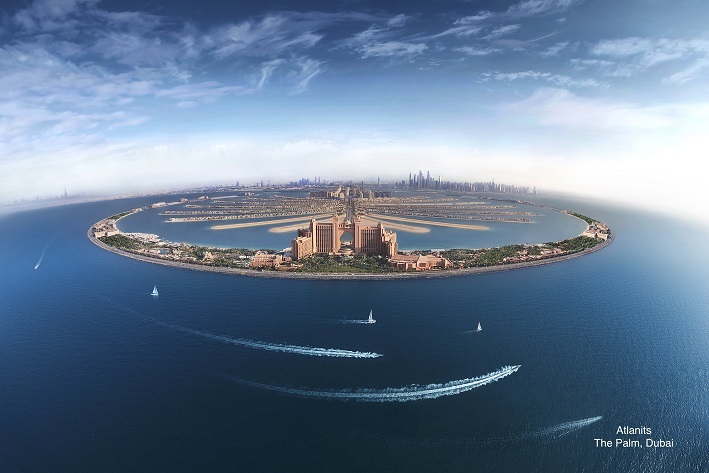 Prior to that, he was Head of Architecture for Dubai-based Damac, the largest privately-owned property developer in the Middle East. MP:Somewhere between black and white. MP: My Ipod classic with all my audiobooks. MP: At the moment, Gareth Southgate. MP:You have two ears and one mouth for a reason. Architects don’t listen enough. Pease arrives to the firm weeks after the WATG’s Great Architectural Bake-Off, which he promises me was not planned as he admits he is not the best baker in the world. Following the firm bringing together the best architects in London for the competition, I wanted to know how Pease saw collaboration in our industry. 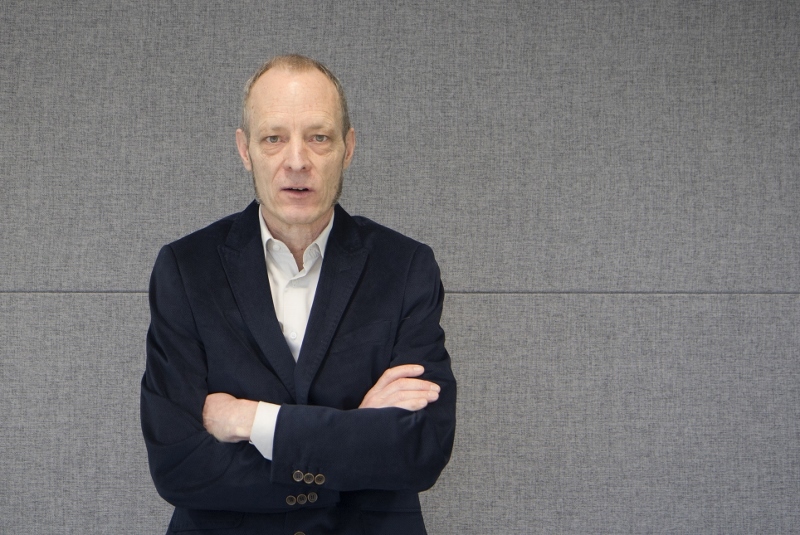 “The strongest organisations have a very solid collaborative spirit,” he explained. “You need to learn from mistakes that you make, as well as the mistakes that other people have made. Plus, clients are exactly the same. You need to be collaborative and cooperative. I compare what we do similar to that of an arranged marriage. It’s not a casual relationship that you strike up for a few weeks. Our relationships last years, and beyond if you are lucky enough to get repeat work. We are a bit like swans in the sense that we want to ‘mate for life’. Pease’s unique style is a perfect match for one of the leading architectural firms in the world. With more than 19 major openings planned this year, Pease joins the firm at an exciting time and I look forward to following his and the company’s journey with interest. He has been dubbed the ‘Lady Gaga’ of design – a moniker I’m not entirely convinced Marcel Wanders fully appreciates – and has been a big name in the industry for more than two decades; his ‘big break’ coming via the ‘Knotted Chair’ in the late 1990s. As I call Marcel, he is relaxing with a cappuccino having just spent a week in Mallorca – the home of his latest hospitality project with IBEROSTAR. 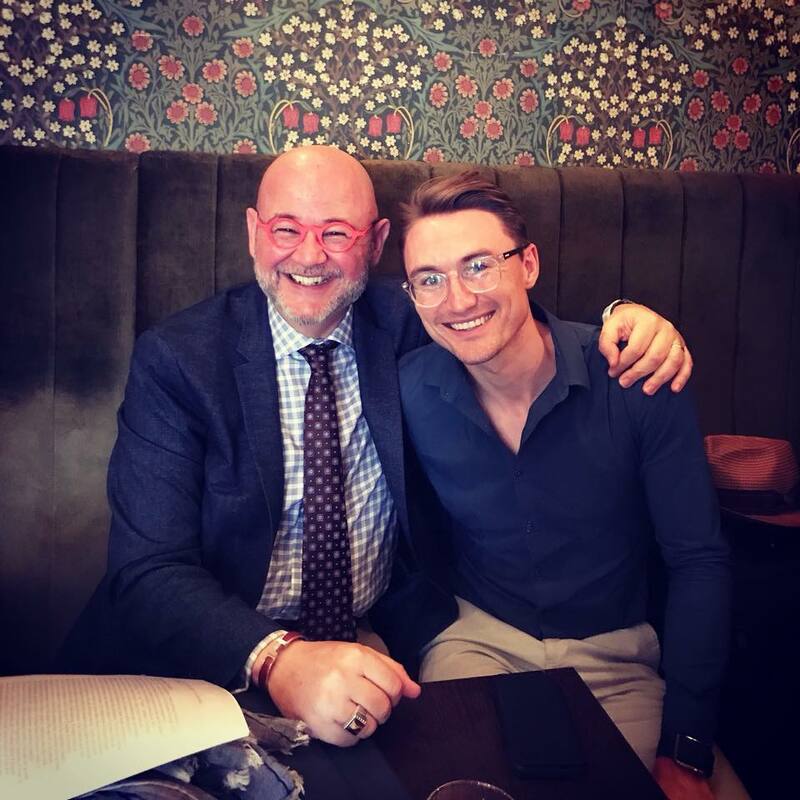 After our short introductions and a brief aside about the Mondrian Doha – another of his recent mammoth undertakings – I ask him how he got involved in the Grand Portals Nous. He tells me he is ‘super-excited’ about the project and how much it is going to impact the region’s hospitality scene. He is not wrong. 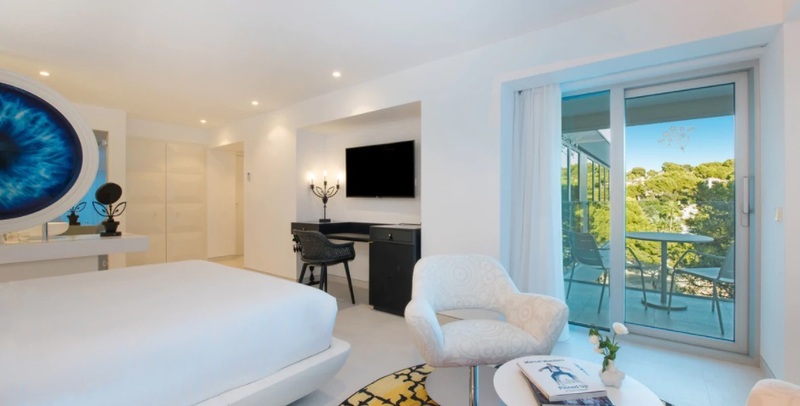 The property sits atop a stunning beach and Marcel has used this luxurious setting to bring about a truly Mallorquin style through his use of transparencies, whites and reflective surfaces. From the lobby’s bouquet motif to the boundless luxury of the hotel’s 66 rooms, four penthouse suites and five themed suites, guests are truly in for a treat. “We’ve been working on this project for a long time, it has taken a while to complete this project and the whole building process. We’ve worked for eight years with the developer to create this wonderful place that it has become. It really is a jewel in the crown of the Iberian Peninsula. It has been great to be part of it,” he tells me. Mallorca is a place close to Marcel’s heart. He clearly adores the place, having completed a similarly spectacular residential project on the island in 2009. I ask him what his inspiration was for this hospitality project. “As a guest, you want to feel that you are in Mallorca – this beautiful Spanish island. The scenery and views are amazing. So, it was really important for me to make something authentic, that felt like it belonged there in that locale. That can be a difficult thing to achieve – but we wanted to do it in a new way, we didn’t want to do something that had been done before, it needed to be contemporary, modern yet at the same time international. “It was a challenge to create something ‘of that place’ and authentic, that also delivers that unique Mallorquin character. We spent a lot of time sourcing materials, finishes and architectural features specific to the island – not to mention we had colour palettes that are really special; there is a winter and a summer palette. So the inspiration was definitely from the surrounding area. Guests go there to relax and hang out, but they also want to be excited about the place. For me, all of this was critical when it came to designing the space,” he adds. 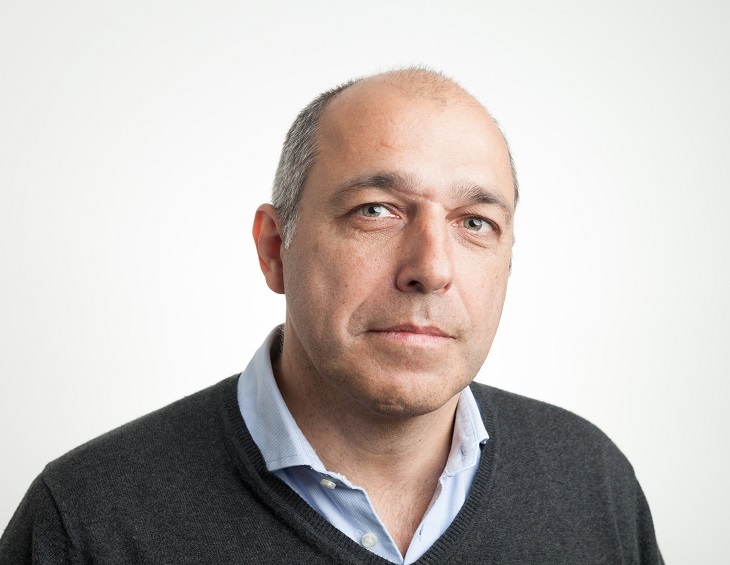 Marcel’s work has been carried out around the world on various sectors, so what is it that interests him about designing for hotels? “I have to say that in all things that the team does, we like to do projects where the design is ‘major league’. By that I mean projects where the design is integral to the success of the project. Of course, that comes into every project to an extent, but often people go somewhere because they have to go there. We want to create spaces that people visit because they really want to go there,” he says. I ask Marcel how it differs from other sectors he has worked in and he enthusiastically tells me why he finds hotels ‘amazing’ to work in. “You get the freedom to really go hard with the design – unlike in a private residence where you might have to quieten that creative streak, create something a little more subdued and which ultimately is less visible to the world. Hotels are definitely our ‘sweet spot’ so to speak, a chance to show off creativity. With his huge, worldwide reputation for creating statement, high-end interiors Marcel could be forgiven for running away with his vision, but that attitude has never been part of his make-up. “I think hotels are actually very democratic. With this project – sure, it’s a five-star hotel and if someone wants to stay there for a week, they have to take quite a bit of money. But a person can also enjoy that space by just having a coffee or a drink with friends – I think that’s really cool. Having also spoken about his Mondrian Doha project, I ask Marcel what the future holds and if there are any exciting projects on the horizon. Does Marcel think there is too much uniformity in hospitality design? “It’s nothing against designers of some hotels, but there’s already so many in the same style – I don’t feel there’s a need for yet another one. We always try to do something really different that stands out and that gives guests a genuine experience. It’s not always easy to find the clients, operators or developers who share that vision of creating something that hasn’t been seen before,” he says. “Yes, exactly – keep the guests coming back! It’s wonderful to get new guests – but no hotel or hospitality client can survive on unique customers alone. Clients have to go away and spread the word, show photos to their friends – and that’s why I was delighted to stay at the hotel last week, I spoke to fellow guests about it and they were suitably impressed; not just with the design but with the service levels which are genuinely excellent. The operator knows exactly what its doing, so I’m super happy and I’m sure the business will grow fast,” Marcel concludes. Hotel Designs: How many years of experience do you have as a developer? Leigh Hall: I have been a developer for over 30 years now. HD: How many years of experience does Manorcrest Group have working in the commercial sector/ on hotels? HD: Can you name some of the hotel brands Manorcrest Group has worked on? 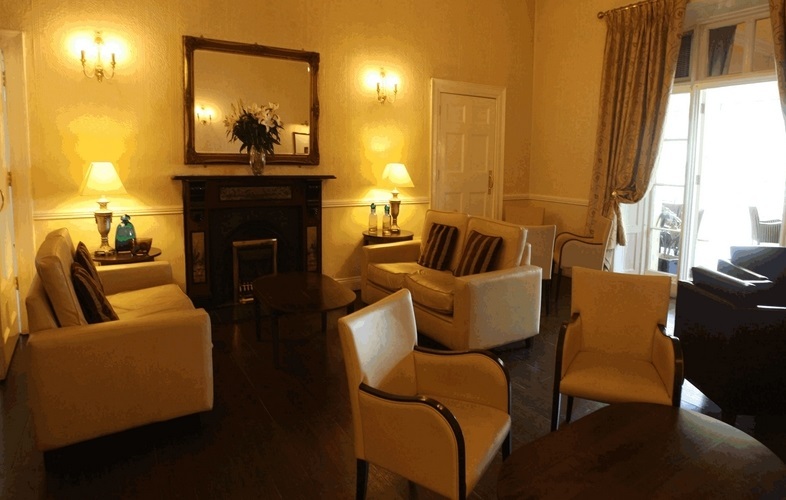 LH: We have and are working on a fantastic range of hotels in areas such as Lincoln, Hull, Grimsby and more. The brands include the DoubleTree by Hilton and Holiday Inn Express. HD: You are currently constructing the DoubleTree by Hilton Hull hotel, can you give us any updates on its progress so far? 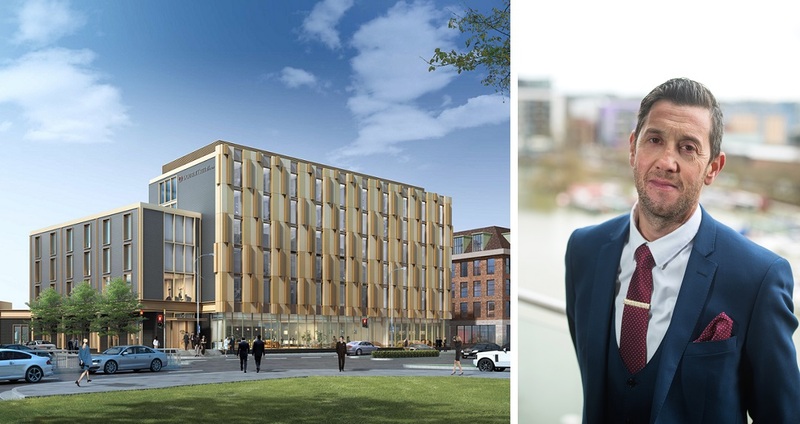 LH: The DoubleTree by Hilton hotel in Hull will have 165 rooms and features a 1,000 sq m ballroom for large conferences and events – the biggest in the region by far. 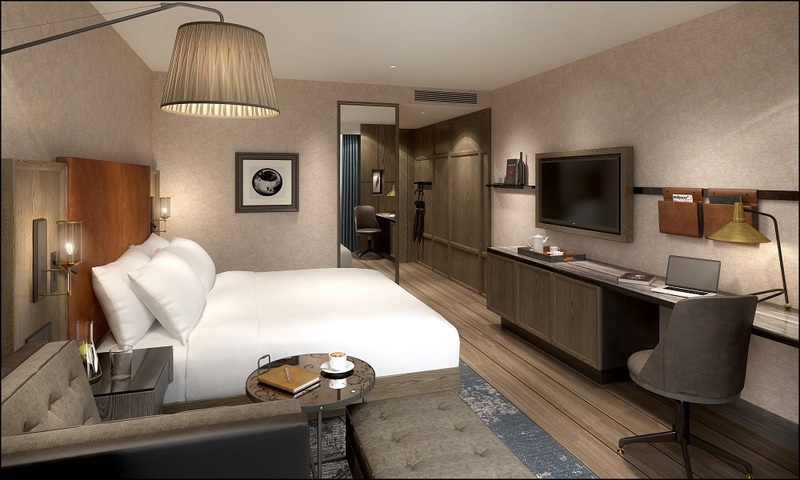 Regarding the progress of the hotel, the bedroom pods have been successfully delivered from China and installed by our highly experienced team, and the construction is on track for completion later this year, a great addition for the City of Culture. HD: What other hotels are you working on at the moment? 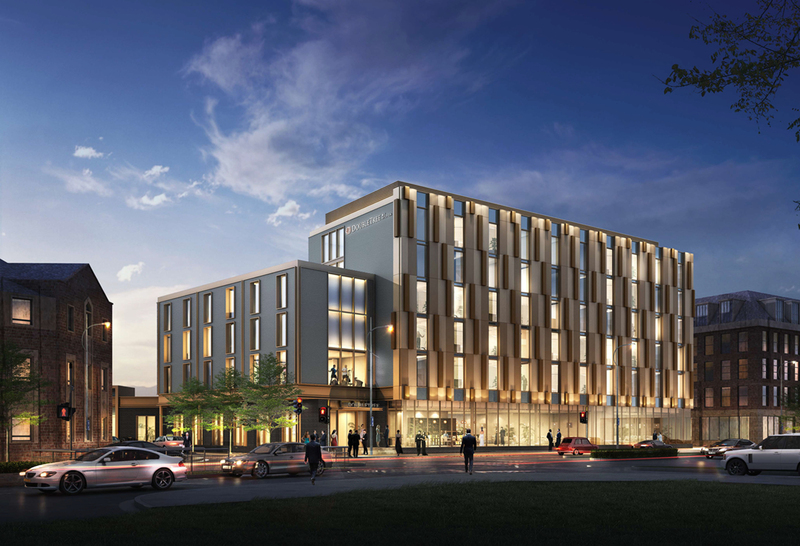 LH: We are working on a major extension to the DoubleTree by Hilton hotel in Lincoln, which will introduce a further 47 bedrooms, 35 parking spaces and additional conference facilities. The 4000 sq m extension is now 70% complete. We are also considering sites in Sheffield and other cities. HD: Are there any other interesting projects you are due to work on in the future within the hotel sector? 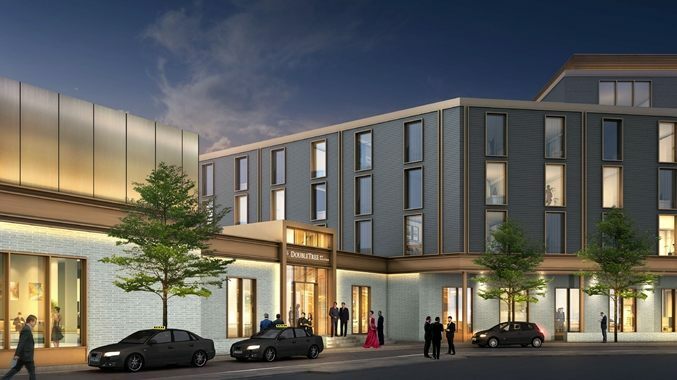 LH: We’re looking into the possibility of another hotel site in Sheffield as we can see a clear gap in the market there and we’d like to introduce a 24-hour service hotel. We have ambitious growth plans to build and open a further four hotels in the next five years across the UK. HD: What do you like about working in this sector/ delivering hotels? 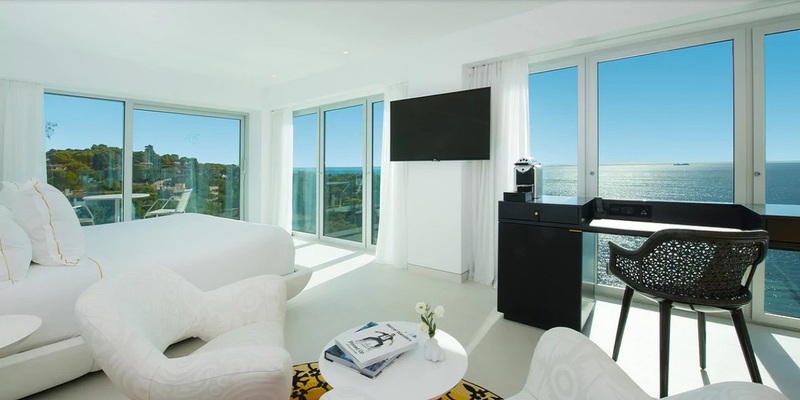 LH: Hotels are exciting places to be and it is a fast paced and ever-changing industry. I enjoy seeing the hotel developments grow from the planning stages through to completion. As developers, we believe it is important to deliver innovative schemes which integrate well into the local community. It is also very satisfying to be able to support and contribute to local economies, as hotels inevitably provide jobs and we take great joy in using local suppliers throughout the construction process. Hotels are not just for tourists and commuters, we try to create destinations that local people want to use, we encourage people to visit our hotels and enjoy the facilities, such as the bar and restaurants on a regular basis. 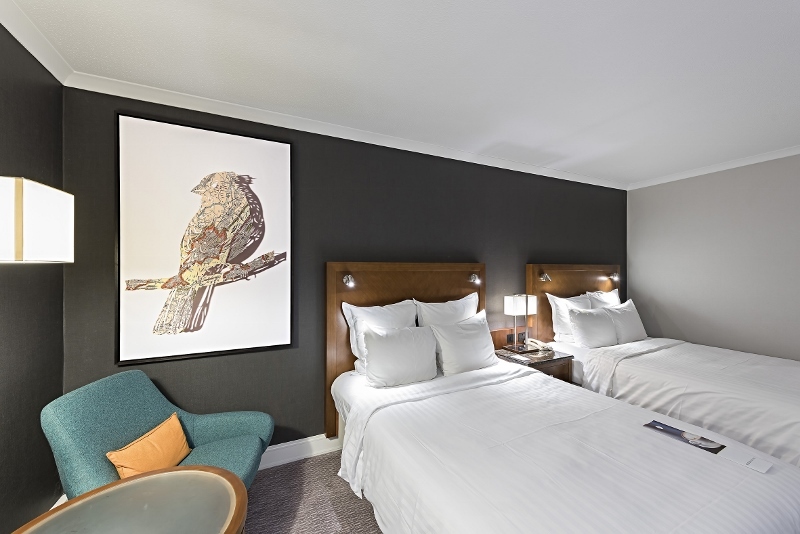 We work with blue-chip brands who are constantly innovating and more than ever we see there is a great appetite and demand for well executed hotels across the country. HD: You also work on residential developments, are there any challenges with leisure compared to residential? LH: There are so many elements to consider when developing a hotel. Residential developments are a lot more straight forward, whereas for a hotel you are working on a much larger scale scheme with hundreds of bedrooms, bars, restaurants, spa facilities, parking and so on, which all must be taken into consideration. It is both rewarding and challenging to run a development and construction company, Dean and I oversee each site keeps us very busy. HD: Has there been an increase in demand for hotels? If so why do you think this is? LH: The hotel sector is a growth story and we have plans to develop four more hotels in the next five years. There has been a boost in tourism in many cities and we have found that smaller cities such as Lincoln for example, have a high demand and need for more beds. Several years ago, people only stayed in hotels due to necessity because of work/ their commuting needs, but there has been a boost in leisure travellers who go to high-quality hotels for a getaway and to enjoy luxury. Even with the results of Brexit I don’t see this impacting the hotel industry in the next few years. HD: Can you provide a figure for how much you are investing into developing hotels currently if possible? LH: We are investing £35 million into the hotel sector throughout 2017. Hotel Designs: First off, how is everything going with the show planning? 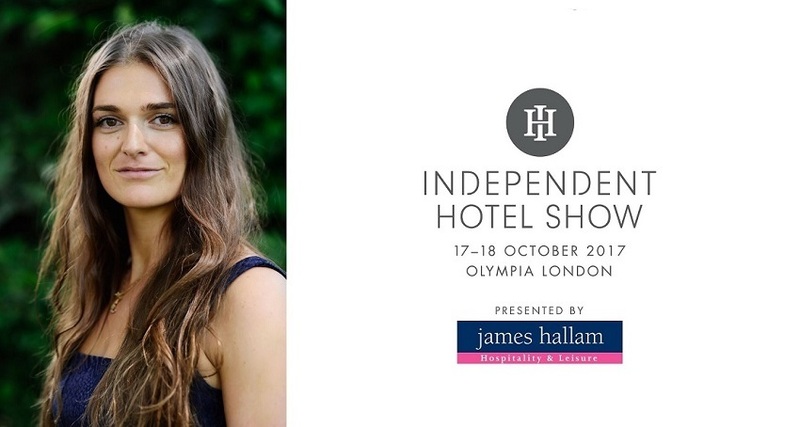 Miranda Martin: We have a simply brilliant team of people here at Independent Hotel HQ. We’re super committed to delivering great experiences for everyone who attends the show. Every detail matters and a huge amount of effort has gone into making this edition remarkable. I’m confident that this year will truly be the best yet. We’re lucky because we’re confined by a finite space in the halls so when the stands sell out we get to focus on making the rest of the show even better. One of the key tasks for this year was to focus on turning the heat up on design. 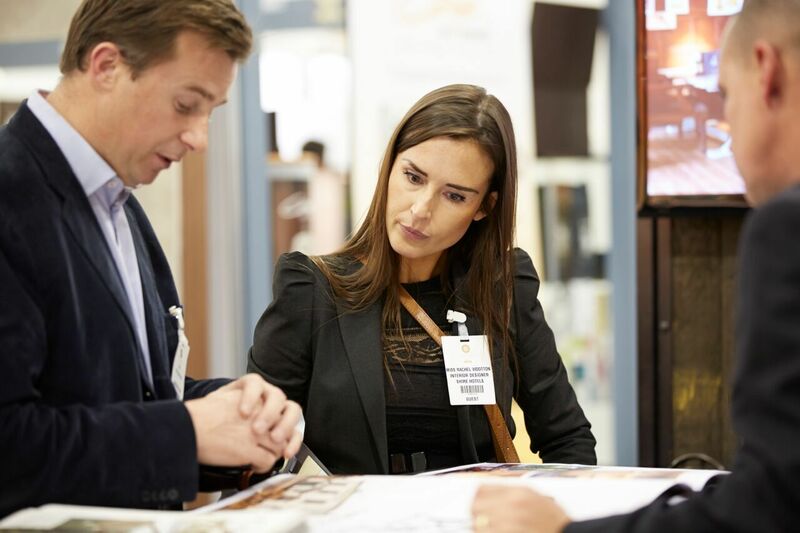 Our exhibitor list is reflective of the hard work the team have put into researching and discovering brilliant brands to bring value and inspiration to our audience of luxury and boutique hoteliers. And the designed features at the show are the ‘pièce de résistance’. I can’t wait for people to see them. 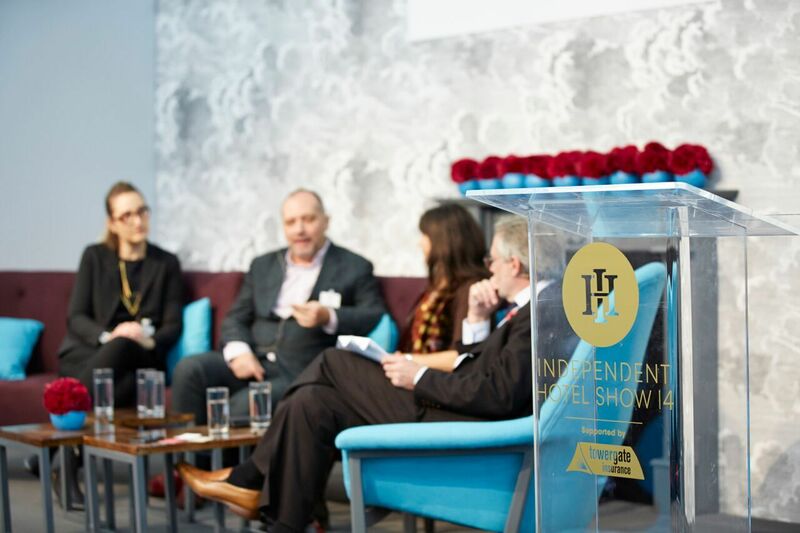 HD: Could you tell us what familiar features of the Independent Hotel Show guests can expect this year, but also anything new with this year’s edition we can look forward to? 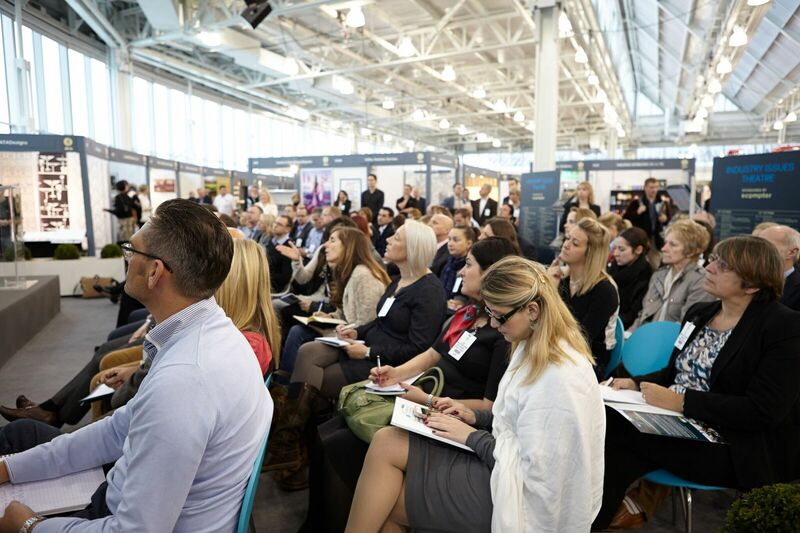 MM: As always, guests can expect a strong line up of speakers revealing trends and practical solutions, together with a fully relevant collection of exhibiting companies showing the latest products and services available for hoteliers today. New for this year’s event we have introduced ‘The Perfect Hotel Bedroom’ thread in partnership with Chic Retreats. We conducted a consumer survey to help generate answers around what makes the perfect hotel bedroom. And Harriet Forde Design studio is bringing that to life at the show. 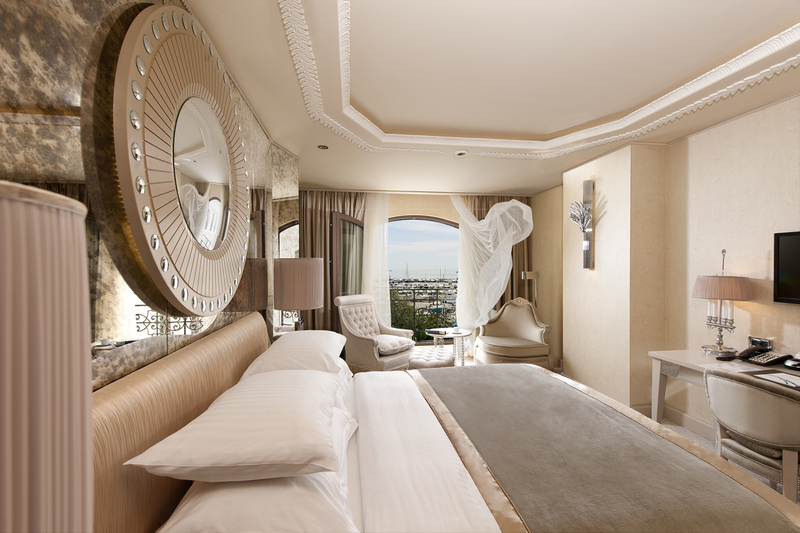 We propose to bring you ‘The Perfect Hotel Bedroom’ at the Independent Hotel Show. Come tell us what you think! The Gymnasium for The Mind is a new concept too. Taking on board mindfulness and wellbeing trends as well as the need to mix up the format of the ‘stuff to do’ at the show, we’ve introduced a workshop area where guests will be encouraged to remove shoes and coats, sit on gym balls, and get stuck in; exercising their minds in an unusual format. Workshop topics will include design, artificial intelligence, cyber-crime prevention and spas for men…. HD: What are the key things you hope guests come away with from the show? MM: The discovery of something they’ve never seen before; connections and relationships that will change their businesses forever; inspiration and motivation to make change and having had a terrific experience. HD: Just how important are shows like IHS to the industry? MM: We strive to serve and support independent hoteliers from across the land to help them stay current and deliver unforgettable experiences for their guests whilst optimising profitability and efficiency. Consumer demand changes at a rapid pace and so must the hotel industry if it wishes to keep up. 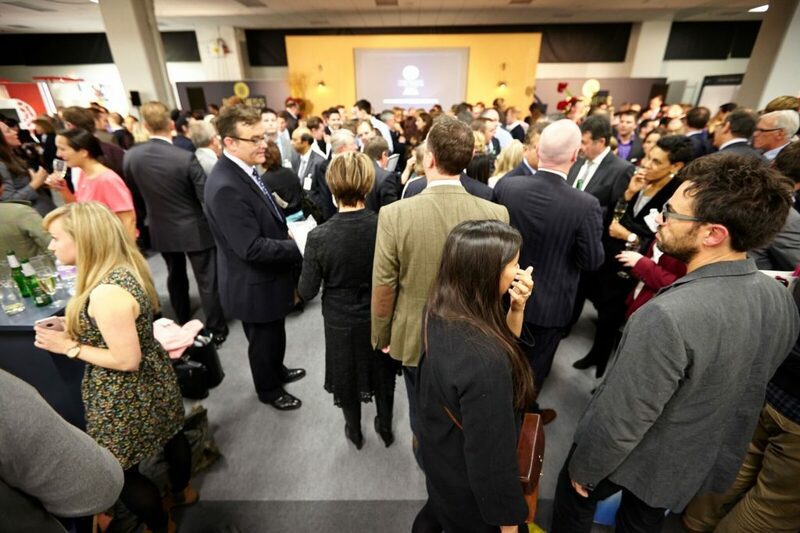 We offer an annual touch point where hoteliers can network with likeminded people, see the latest products and hear future forecasts and trends. It’s the industry’s show. It’s a great show. It’s a great opportunity. You never know what connections you could make in a face to face environment. Done right, business events of this kind are invaluable. HD: Thinking about the wider industry, how do you see Brexit affecting the independent/boutique market? Of course staffing issues will arise but I see this as an opportunity for hoteliers to reimagine their recruitment and training processes, perhaps creating better opportunities in hospitality careers. I think people are going to have to up their game to make their businesses attractive places to work. Attend our talk ‘Oh! What a Lovely Brexit!’ at the show to find out how Tourism can benefit from a new 21st century ‘Brand Britain’. HD: And what trends are you seeing coming to the fore in this market? MM: Mindfulness is everywhere, infiltrating many industries and led ultimately by a widespread consumer interest, hence our introduction of the Gymnasium for the Mind. People are the priority. In a Brexit landscape, there are natural concerns about our workforce thus there’s a push on recruiting, training and creating an attractive career proposition for domestic staff. The show this year will focus heavily on this in our role of supporting independent hoteliers. A focus on sustainable and seasonal menus, a continuation of a trend we’ve seen growing every year of the show, with a strong focus on grow-your-own, locally sourced, authentic propositions that are becoming increasingly supplier-led. Brand extensions – clever and strategic partnerships to engage the right type of consumer with your brand and widen your marketing message. HD: Lastly, what does the future have in store for IHS – is expansion on the horizon? MM: We have big plans. Not for this small but perfectly formed London edition… watch this space! 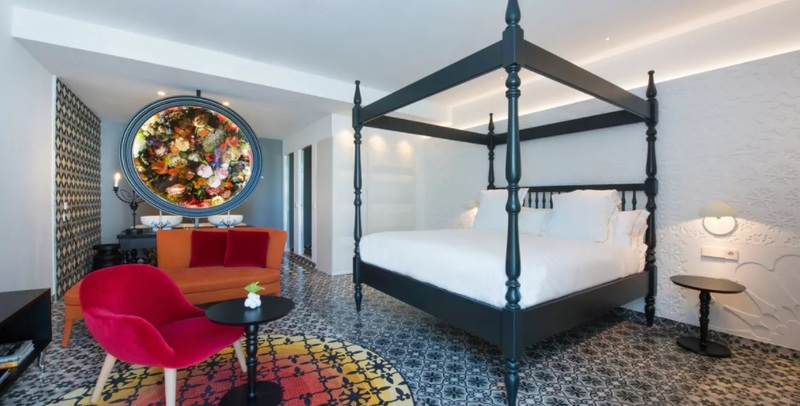 Hotels are eschewing a uniform look and are taking a more individualistic approach to design to help mark them out and convey a sense of warmth, that’s certainly what we’re seeing our clients come to us for. 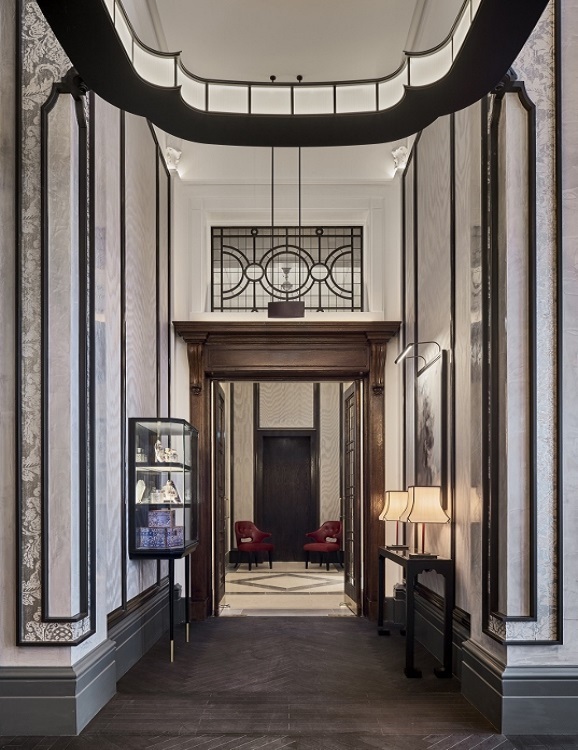 A good example of that is The Ned in London which is looking back to an Art Deco styling to create a very eclectic and individualistic look across the rooms. Hotels are no longer applying that ubiquitous, formal look to rooms, but are making them more warm and inviting with a heritage angle. Mixing a bit of old and new in together helps add more depth of character to a room. We are certainly seeing design being used to reflect the personality of the business more. 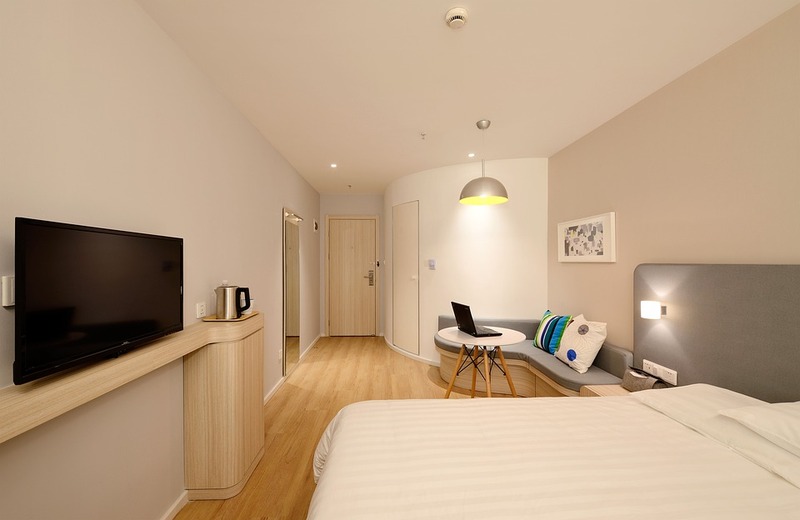 Even when hoteliers have a new-build property, they are seeking out a more individual edge. There’s less use of ubiquitous artwork and more of a focus on sourced products rather than something that is bought. Of course, it all depends on the hotel and the target audience. This look might be less appropriate for a business hotel but certainly there’s a cluster of hotels catering for high-end business customers who want to provide something other than just great Wi-Fi and room service. We’ve been working on a big hotel project recently which combines the vintage mid-century stuff we produce with newly-made classic-style furniture. We are finding more and more customers are approaching us for a similar style. Overall, hotels want to create an inviting space, so the type of material used is gaining importance. A lot of velvet is being used now by our customers – the term we use is ‘layering’ which is bringing more than one dimension to a room. You can do that with touches, maybe through old furniture, more accessories or using more classic style lighting over the beds, which can look really lovely rather than just a standard lamp. Heading into the future, I think we’ll see more of this. 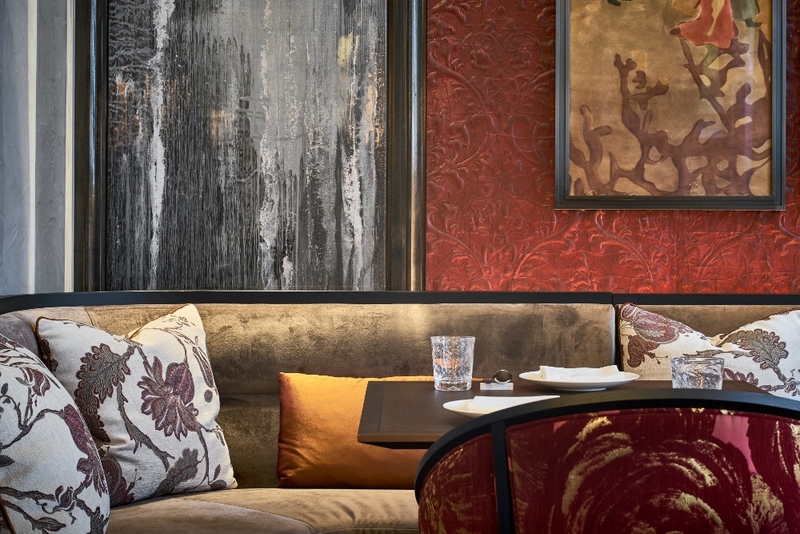 Every hotel project we’re working on is using a mix of velvets with more British heritage fabrics like Bute Fabrics. Good, strong, old brands which have a sense of history. This thoughtful approach to putting together a room is something that will continue. Now, we’ll almost always supply products to hotels that, even if they aren’t vintage, look vintage. That heritage look is quite a strong trend and that’s what we’ve got with the range of furniture we’ll be showcasing at this year’s Independent Hotel Show at our stand and in the VIP Lounge. We’ve launched our Heritage Collection in partnership with a brand called Howard Keith, or HK. It was a huge brand in the 1930s, 1940s and 1950s and supplied all the furniture to the QEII Officers’ lounge and royal residences. 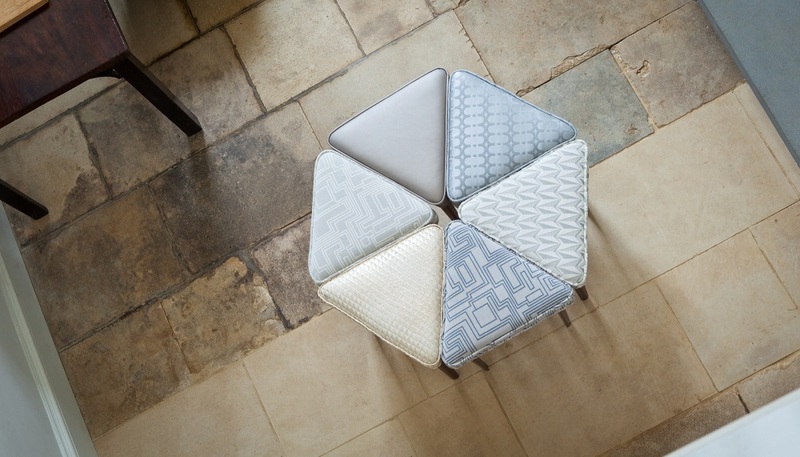 They closed in the noughties, but we have partnered with them under licence to bring back some of their furniture under a heritage collection which is made exactly the same as the 1950s models but mixed today with fabric featuring cutting-edge designs from Japanese designers. 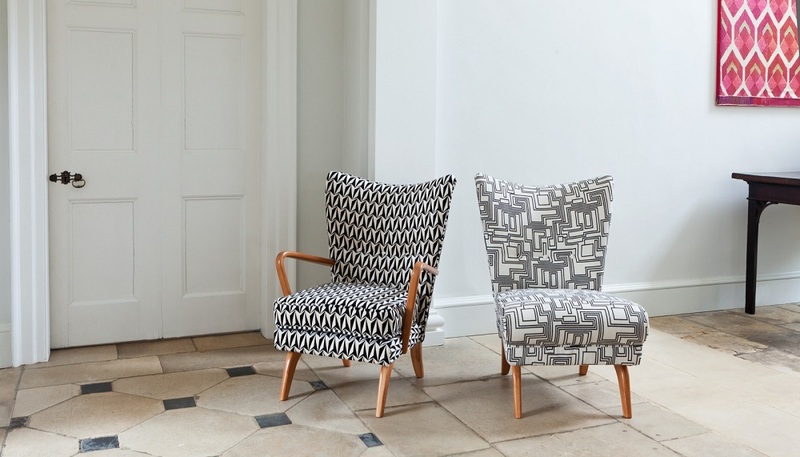 That mixture of old and new is what you’ll find in our chairs and what you’ll find us showcasing more at the show. Q. How much freedom were you given in creating your own take on the restaurant’s design? 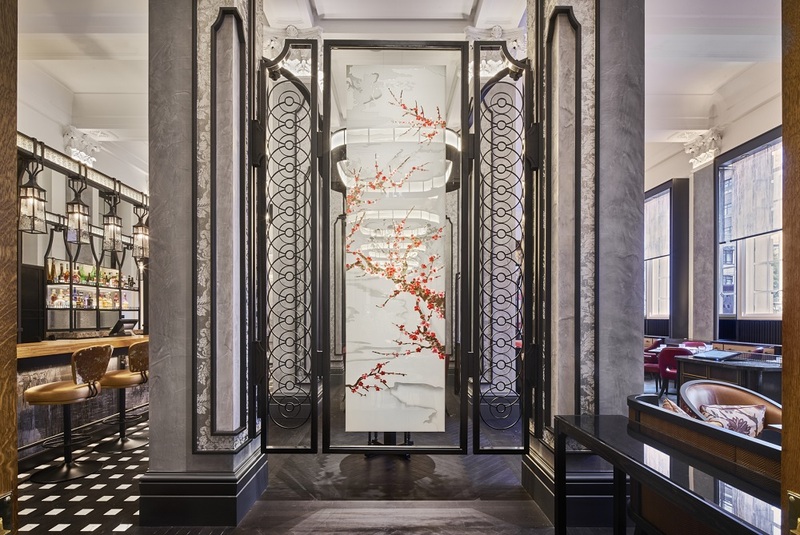 Mei Ume is located within Four Seasons Hotel London at Ten Trinity Square, a heritage building built in 1922 that was previously home to London’s Port of Authority, acting as an access point for Eastern traders to trade commodities such as teas and silks. 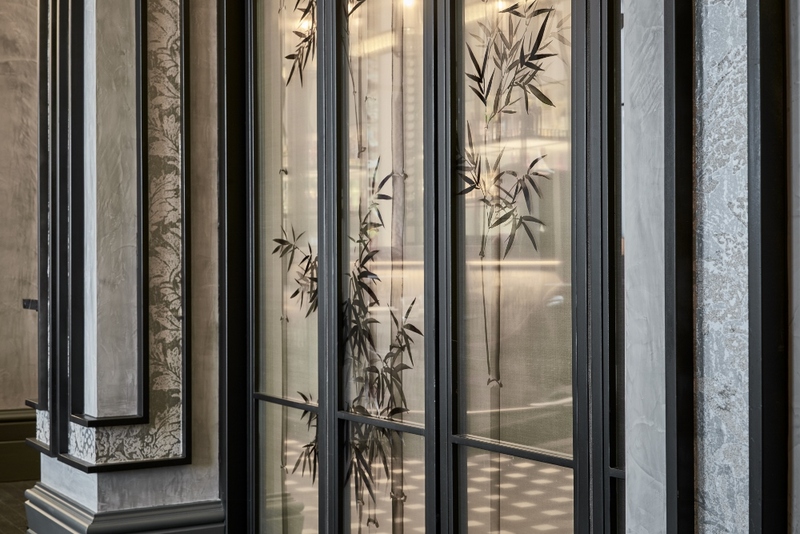 The story behind of the history of the building was our inspiration behind the design of the restaurant and also allowed us to tackle one of the most challenging factors in this project -designing an Asian restaurant within a classical Western architectural building. The trading history between the British and the Orient allowed us the freedom to merge Eastern heritage and Oriental design themes into the traditional Western space, seamlessly bridging the gap between the two distinct cultures. Q. You’ve worked on several projects in China and the far-east – how does working in London compare/differ? As a Hong Kong based design studio, we can see similarities between both China and London in terms of how a project is managed, however the biggest difference is that the majority of projects in China are state owned and so with that comes varying limitations that differ from privately owned projects that are common in London. 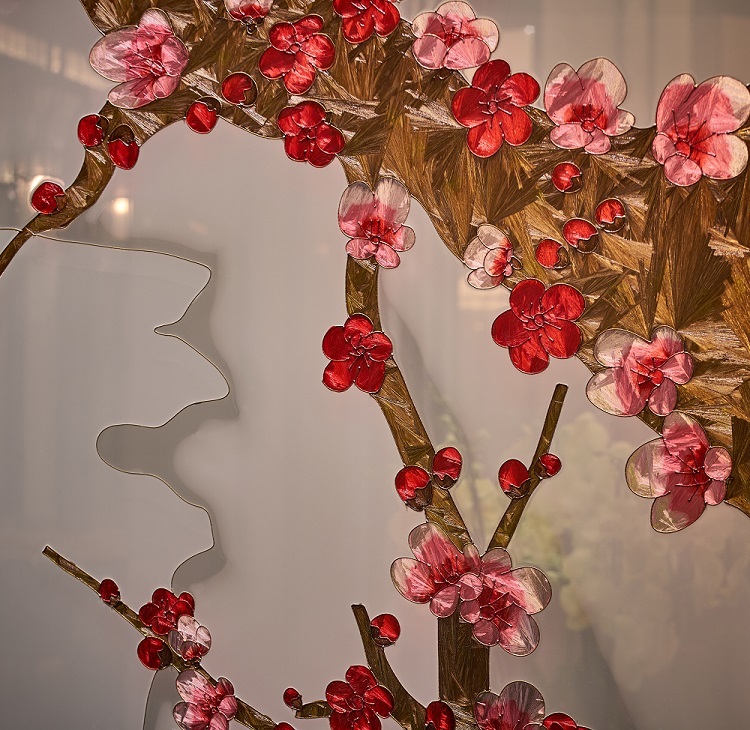 Whilst working on Mei Ume, it is apparent that there was a solid system to ensure that every detail was refined and perfected to suit the space. Q. 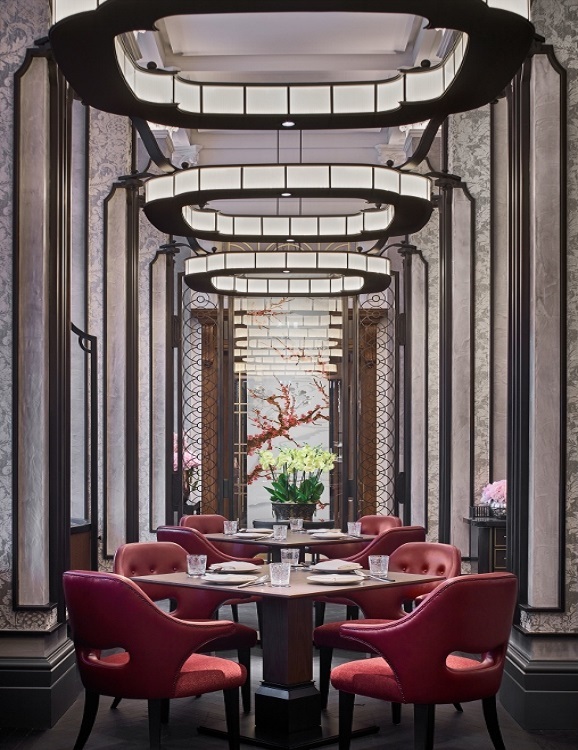 This isn’t the first time you’ve worked with Four Seasons (Shang-Xi – Shanghai Pudong), what is it you like best about working with the brand? We always emphasise that a project designer plays an important role in the success of a project, but at the same time we can only take partial credit. We enjoy working with luxury brands at the level of Four Seasons because we know we are working alongside other passionate creative individuals to create a top quality destination. In doing so, we can assure that food quality, service, table setting, music and the marketing of the project will be nothing short of perfection. Q. What do you like most about working on hospitality projects? Hospitality projects are really the only windows for us to showcase our work to the public because 9 out of 10 residential projects we work on remain private. 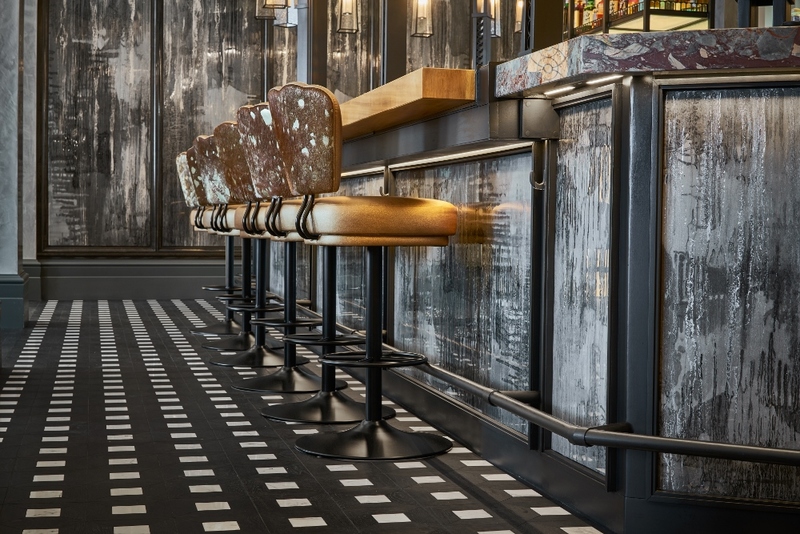 Hospitality projects tend to give us more creative freedom; we are always trying to balance our creativity with the commercial viability of a space, and that’s what makes design intriguing. Q. 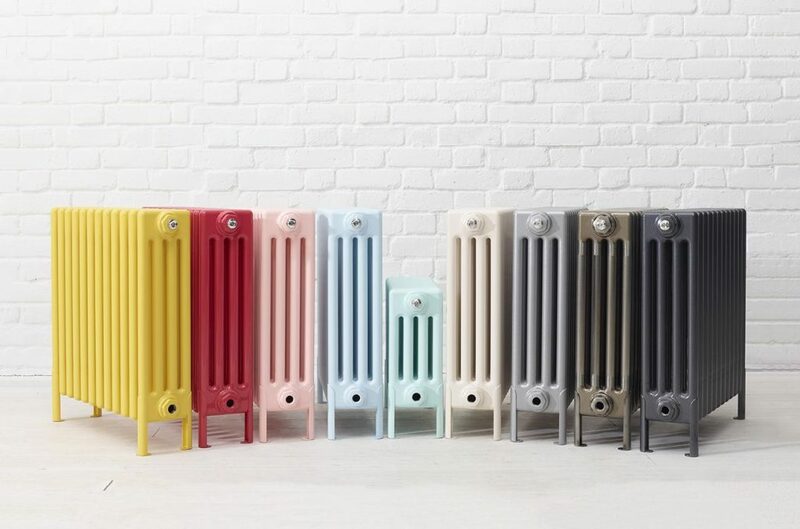 Do you have a particular ‘design philosophy’ at AB Concept? We believe we play the roles of “storytellers of space”. We try to ensure that with each project, we are telling a different story from the previous. This is a much more challenging way of working as an interior designer because we do not want to cast ourselves into a mould of a particular look, feel or design aesthetic which means we are constantly developing new design vocabularies for each new project. Q. 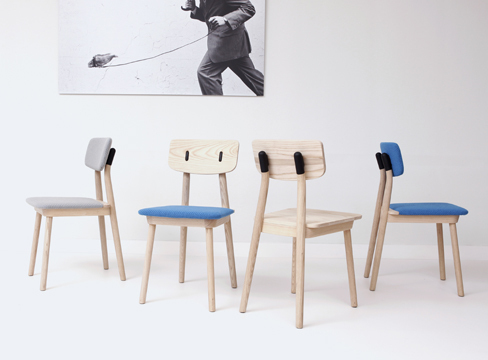 If possible to sum up in a few sentences – what do you personally think makes ‘good design’? A good design has to be able to function beautifully with a unique identity and have the ability to withstand the test of time. Q. What design trends do you predict in the coming years? We see a growing appreciation of classical designs. We feel it is a natural tendency that when we are living through the fast-paced, impersonal technological breakthroughs on a daily basis, our consciousness simultaneously reminds us to cherish the past and its artisanal beauty. 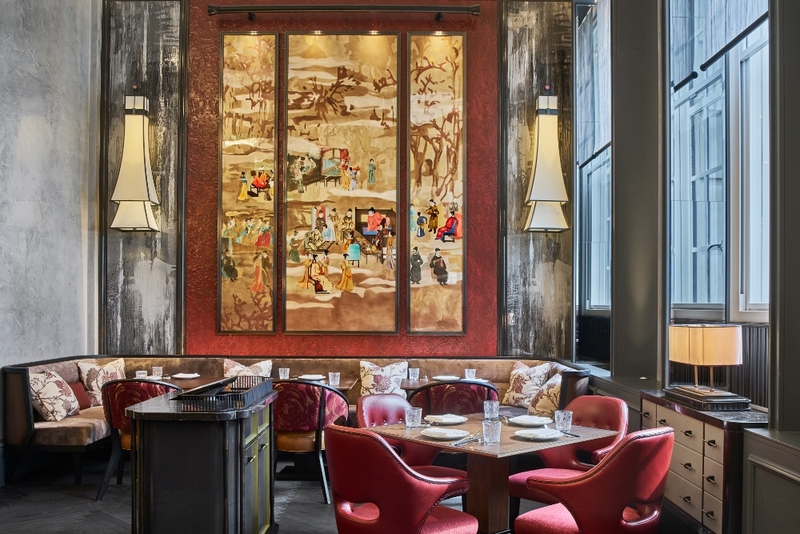 Mei Ume is a perfect example of letting the original structure of the former Port of Authority building take centre stage whilst enhancing it with modern elements. 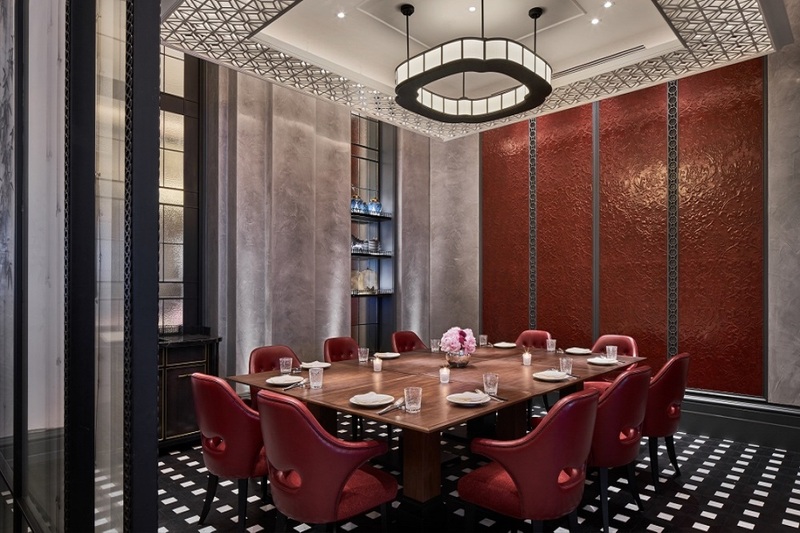 With the task of transforming the purely British architectural structure and seamlessly infusing it with Asian elements to suit the restaurant’s cuisine, we wanted to captivate guests by taking them back in time, on a journey to when the Port of Authority was a thriving trading hub between the East and West. Q. Any exciting projects in the pipeline for yourselves and the team coming up? We are currently working on our first resort project for Rosewood, named Rosewood Sanya Resort at Haitang Bay of Hainan Island, where we are designing the entire outfit of the resort. Meanwhile, we are also working on the first W Resort in Europe at the waterfront location in the Algrave, Portugal. Like the Rosewood, this is another consolidated resort project. 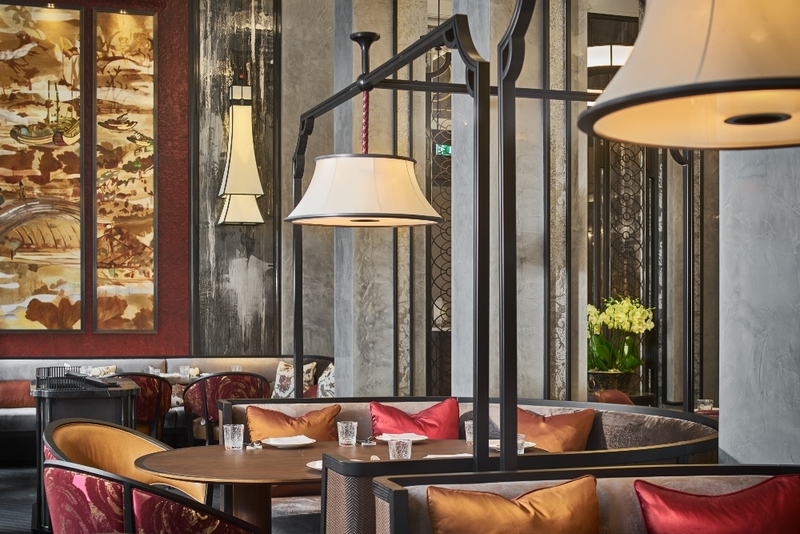 We have also been given the great honour to redesign the signature Lord Jim’s Restaurant at the grand dame Mandarin Oriental Bangkok, one of the oldest hotels in the world, which is still in operation having just celebrated its 140th birthday. As Brexit negotiations kick off and uncertainty lingers following the general election, there are growing concerns over the UK’s pipeline of skilled employees, particularly within the hospitality industry. 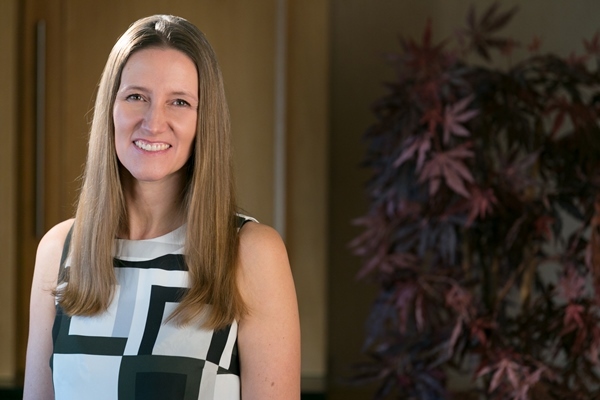 Redefine|BDL Hotels’ (RBH) Chief Human Resources Officer, Susan Bland, explains why the hotel industry should keep calm and carry on attracting and developing the best talent. 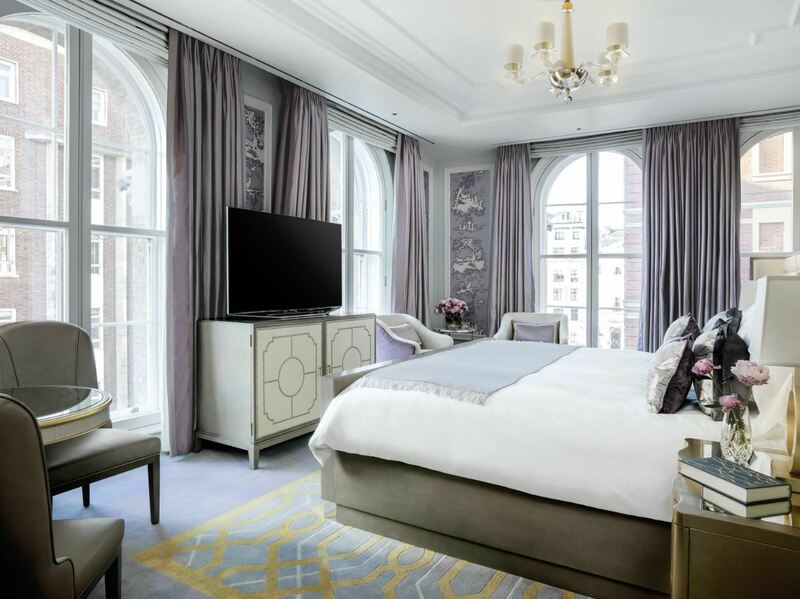 The UK’s leading independent hotel management group has an expert team of over 110 hotel specialists based in offices in London, Glasgow and Frankfurt. Its portfolio of more than 45 properties unites over 8,000 rooms and 2,500 employees throughout its managed and leased properties. In an industry that will undoubtedly be impacted by any final deal extended to the UK by the EU due to its employee demographic, RBH is already starting to make plans to strengthen its employee pipeline. Susan, who chairs the Hotel Employers Group (HEG) – which represents the majority of the UK hotel industry’s biggest businesses – says that while Brexit negotiations will take time, attracting more home-grown talent is a much-needed step towards injecting new blood into the hotel industry, and should be the priority. She said: “HEG is working closely with the British Hospitality Association (BHA) as it develops its Brexit strategy. It’s an impressive piece of work, which focuses on a 10-year plan including ‘rebranding’ the industry to make it more attractive to the UK workforce looking for long-term careers, by tackling the long-standing stigma of unsociable hours, low pay and the belief that hotel work is ‘just a holiday job’. And while HEG is pulling together a comprehensive plan of action, RBH is working on attracting more home-grown talent and upskilling its existing employees. Susan continued: “The HEG strategy is targeted at numerous groups across the UK, from ex-service personnel and their families, to the next generation of potential employees and their parents as influencers on career choice. While the focus is on developing and nurturing the UK employee pipeline, Susan does recognise potential issues that Brexit could cause for RBH and other businesses within the industry. Of RBH’s total UK workforce, 27% are EU Nationals, but the figure rises to around 40 per cent in London – which is consistent with the UK average within the hotel industry. She said: “So far, a number of our European team members have been sitting tight and waiting to see what happens as negotiations take place, but staff retention has been impacted to a certain extent following the EU referendum. “The devaluation of the pound – which means some European employees haven’t been able to provide for their families as much as they had hoped – coupled with uncertainty has pushed a number of these employees to return home over the last year. Although the most recent developments have seen the publication of plans for EU citizens to achieve ‘settled status’ – with the same residency, employment, health, welfare and pension rights – after five years in the country, uncertainty remains until these plans are confirmed. And while there is an element of uncertainty, Susan is pleased to see the Government prioritising the rights of EU Nationals and the potential impact on free movement and the labour market as part of its negotiations in Brussels. She said: “As a business, we had accepted that there would likely be some form of restriction around free movement, and removing uncertainty for European employees has always been key. I’m glad the Prime Minister is prioritising this. “While the current plans would see those resident in the UK for five years granted ‘settled status’, there are still uncertainties around other EU Nationals who have lived in the UK for shorter time periods. On that front, if any restrictions were to be imposed, we would like to see these introduced via a phased approach. 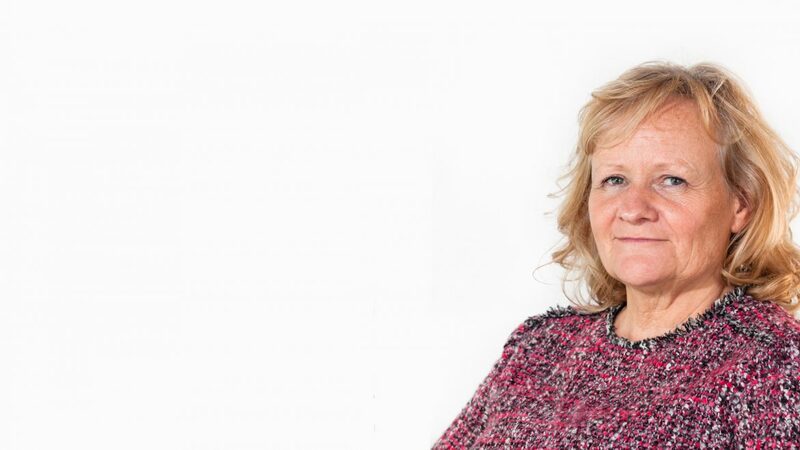 Susan – and the wider RBH team – will be focusing on factors within their control when it comes to Brexit, and urges employees and prospective industry employees to do the same. Think of 3D printing, and you might well think of high-profile news stories a decade back involving airport security and ‘printed firearms’. Rest assured, the technology has moved on considerably since those burgeoning days. And one of the pioneering companies has been Stylo, the Hertfordshire-based print firm, which is now at the forefront of some incredibly exciting possibilities in three-dimensional printing. Stylo has been in business for nigh on twenty years, starting out from humble beginnings – “…all from a spare room in my flat”, Simon tells me – to now being one of the leading UK names in the print industry and employing dozens of people. 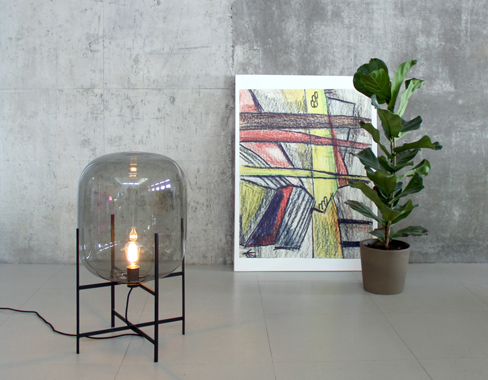 A lot of that work involved two-dimensional work for retail shopfitting and display, and Simon admits that two-dimensional is still a big part of Stylo’s remit. But over the last two decades, the firm has moved into various other areas. “Since then, we’ve realised that a lot of the work now required from clients has been moving into three-dimensional. We found there is a strong niche in taking everything we do in 2D and giving some dimension to it,” Simon says. So, how did they go about achieving that? “About two years ago, we created a 3D design team and the logic behind that was we could take our 2D print work and add to it around fabrication and construction. We told our 3D team to monitor where the technology was going – and we didn’t think small-scale really had a place in our markets, so it’s all about large-scale. So, our team is self-taught, really, in taking a 2D image and turning it into a three-dimensional shape – which involves a lot of computer-generated-imagery – creating an image and then printing it in 3D,” he adds. 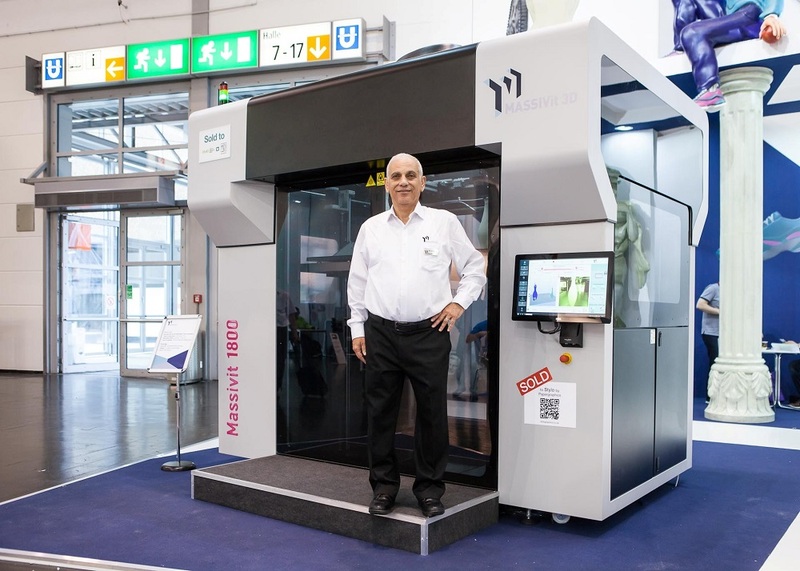 Realising the potential of the technology led Stylo to join forces in 2015 with Israeli company Massivit, who themselves had been carrying out research and development on large-scale printing solutions, which fit the bill for Stylo perfectly. 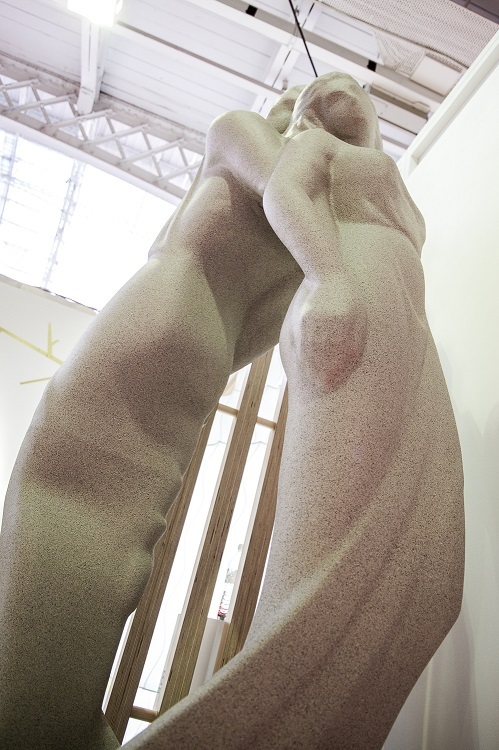 “The key things for us in printing large are speed and being lightweight – especially if we were installing something like a sculpture in a hotel for example. If the item weighs half-a-tonne the logistics are just too difficult to manage. 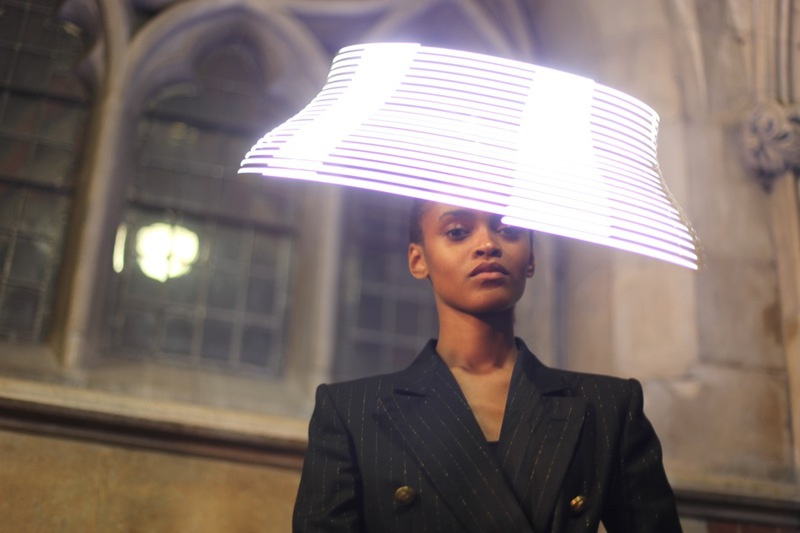 Being lightweight, it needs to be hollow, which is vital and something Massivit’s technology allows,” Simon states. So can this be applied to hospitality? 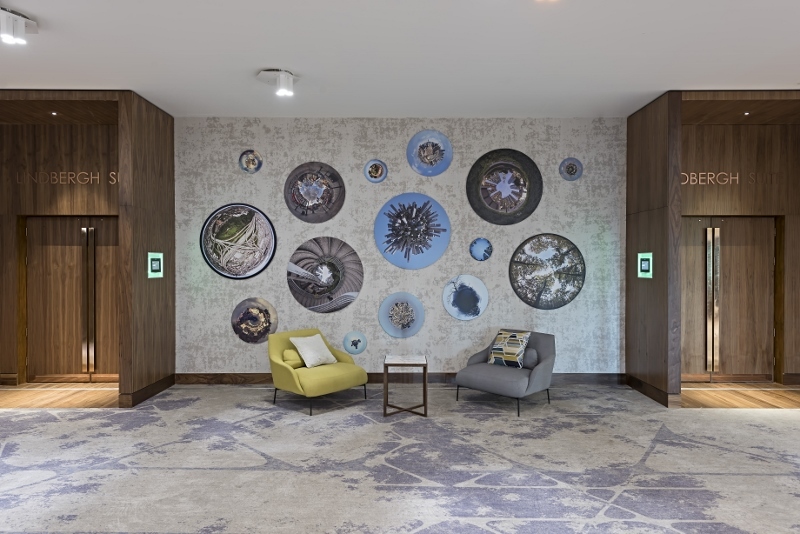 Work in the hospitality sector has started to come in; Stylo recently worked on a 2,000-room project in the far-east providing 45,000-sq-metres of printed wallpaper – but there is so much potential in this sector according to Simon. “I have to say that we are still really early in terms of applying this technology to hospitality. All the people who have bought these machines have either bought them for a specific purpose to complete a specific task or they’ve bought them in an entrepreneurial spirit – like ourselves. We bought this technology thinking ‘it’s really cool, it’s really exciting’. We’re saying now that if we could get into the early design stages of hotels, especially in boutique and independent hotels, where creating a personalised identity for every room is key – even if it’s only a 30 or 40 room hotel – it could be really cool to have an individual statue for each room for example. “Or in the entrance to a hotel, having a really quirky feature that strikes visitors as soon as they enter. 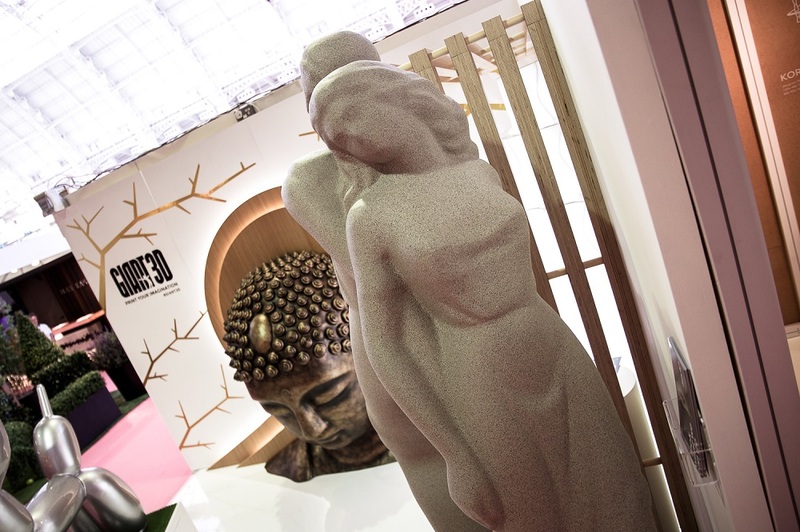 And even in the gardens – we could use our Buddha head, that we’ve been showing off at shows recently, around water features. It’s about creating that initial ‘wow factor’,” Simon says. Getting in with designers is now the priority for Stylo. 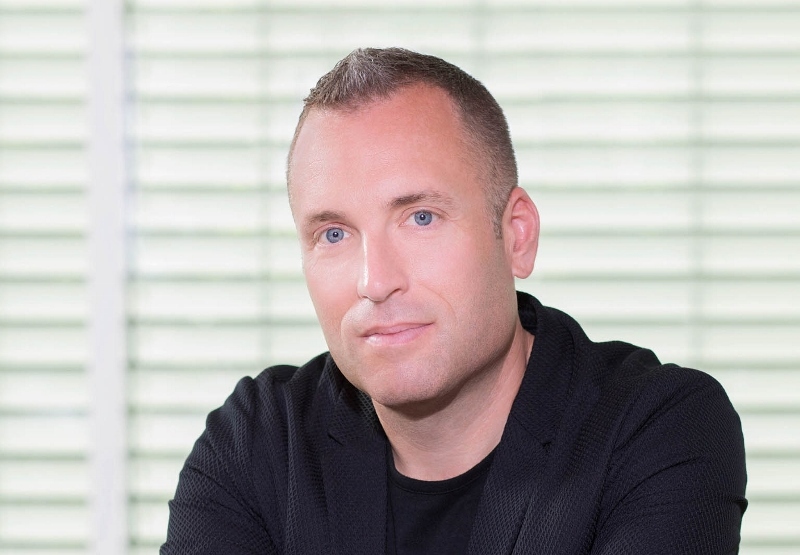 Simon believes that once the technology is ‘out there’, it will be about convincing design professionals of the creative potential of its applications. “Having a discussion purely from the design perspective about doing things on an enormous scale, completely random things and off-the-wall things is what we want. So it’s about working with designers to come up with these ideas and then us showing them the capabilities of creating some really unique pieces,” he adds. The production benefits are definitely there to be seen also. The ‘additive’ method of production – namely starting with nothing and building into something, rather than starting with something and taking away – means hardly any waste and its lightweight nature means transportation savings, which both tick environmental and sustainable boxes. Furthermore, Simon is proud of the fact that artisanal skills will still be maintained. Once a piece has been printed, the finished article still retains the look of the UV gel. 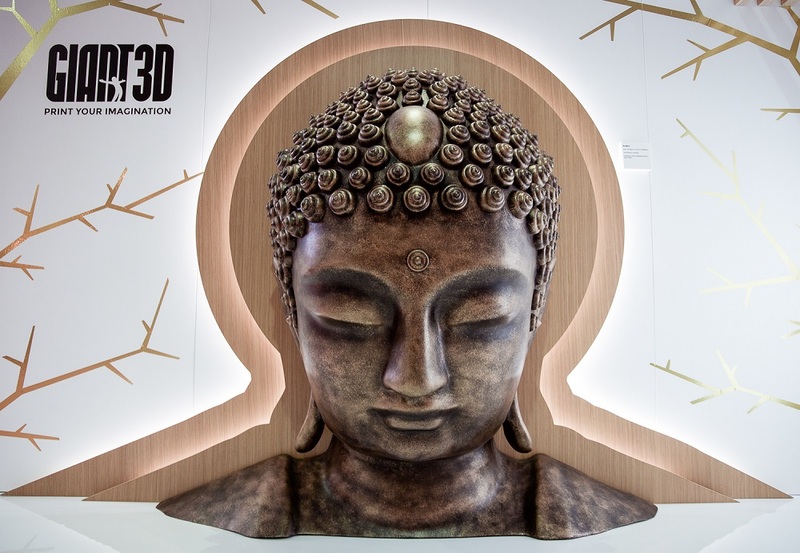 Yet, each piece can be finished in countless styles to request – and having seen the giant Buddha head (above) at the recent 100% Design show, Hotel Designs can vouch for the quality of the finish. It also means each piece, even if identical in print, will have a slightly unique look. Is Simon tempted to bring design in-house at Stylo and come up with and create the ideas themselves? 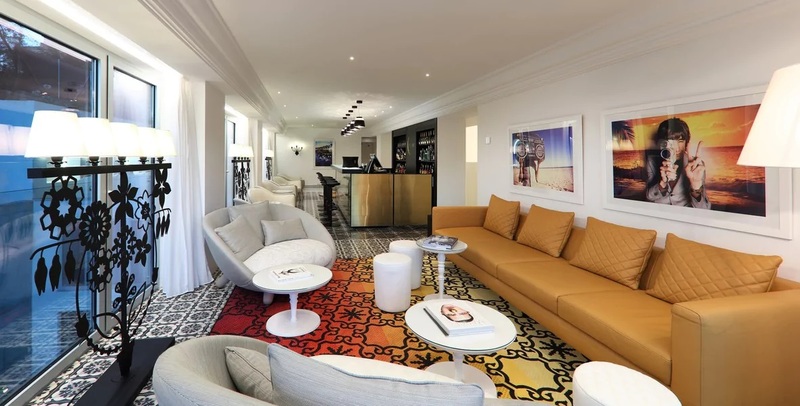 Hotel Designs: Good afternoon Mailo! Could you tell us a bit about yourself? 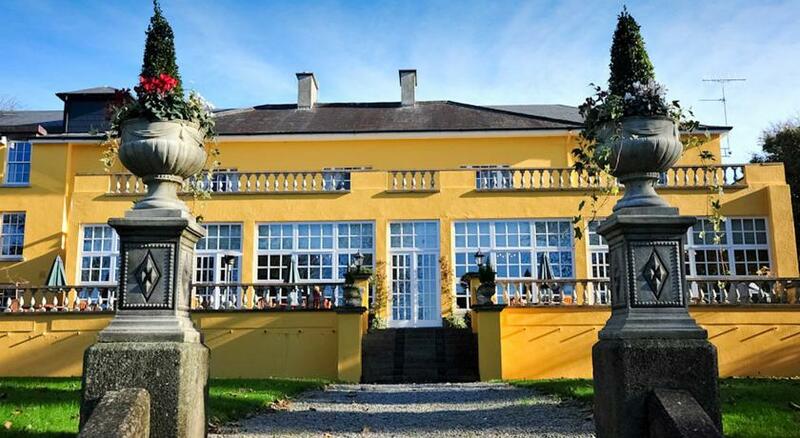 Mailo Power: I’m the owner of Athenaeum House Hotel in Waterford in the south east of Ireland and a member of Manor House Hotels, which is a collection of 34 family-run properties – a mixture of luxury and boutique hotels as well as castles throughout Ireland. MP: The property came about, I suppose, through shared vision. Interestingly enough, being here at the Hotel Designs Summit, it came about through a marriage of both design and the hospitality industry. My husband Stan grew up in the hotel industry, his parents owned the Ocean Hotel in Dunmore East, which they sold when he was a teenager. So, he went into the hotel business very young and after running several hotels in the UK and managing Mount Juliet hotel which won Hotel of the Year in Ireland when he was at the helm. My background was actually in interior design, I worked on a lot of leisure projects and hotel projects, my clients included Great Southern Hotels in Ireland, I was their group designer. I also worked in France and the Isle of Man. Together we decided to build our own property, it made sense with my background specialising in the design of hotels and my husband’s background in hotel management. So, in 1999 we bought a Georgian house on an estate in Waterford, it’s setting is unique in that it overlooks the city but is actually set in 5 acres; it has the best of both worlds with a country feel but close to the City centre across the River Suir. 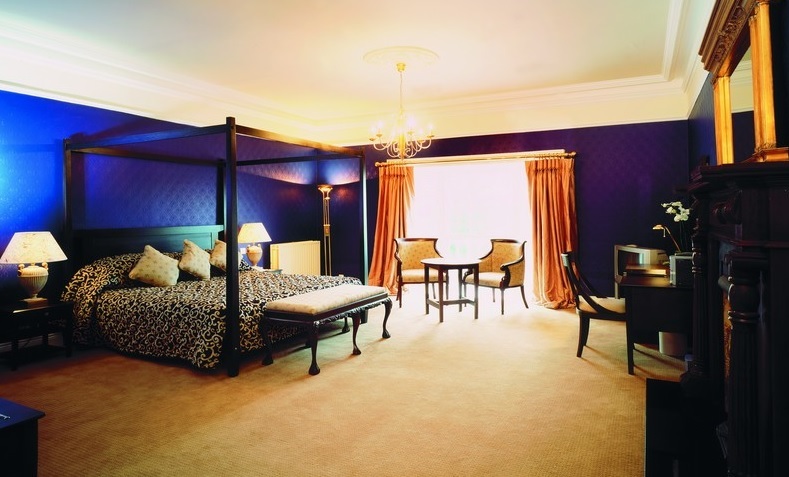 We built and opened the present hotel in 2003, after four years of battling planning permission – because the border of Waterford and Kilkenny runs through us – our boutique hotel has 29 bedrooms, a 130-cover restaurant Zaks, as well as boardrooms and meeting rooms. 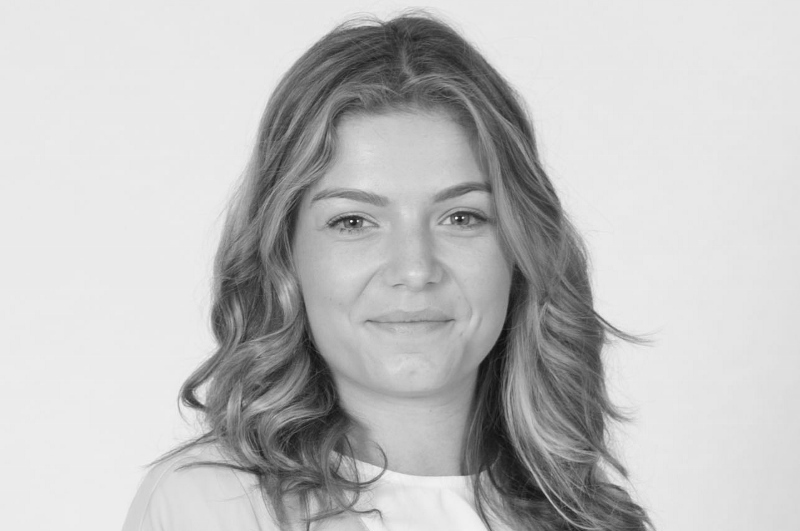 Our daughter Kelly joined us in 2010 following a number of years working in the hospitality industry in Australia. HD: What about the personality of the hotel? MP: As it’s a listed building we maintained the Georgian features, such as the fan light, high ceilings, fireplaces, original mouldings and architraves. We offer exclusive use for weddings, celebrations or corporate events. Our award-winning restaurant helps, especially as our Chef James Crawford is passionate about using local produce – we’re proud of our ‘field-to-fork’ approach and supporting local suppliers. And, although we are a family business, we definitely have an international mind-set. We joined the Manor House collection, which is a collection of properties throughout Ireland and this allows us to have a central reservations office in Dublin and a ‘face’ at international events, which we wouldn’t have if we were just an independent standing alone. HD: And what about the future – any expansion plans? MP: We are heavily involved with the tourism industry in Ireland – both presently and looking to its future. And what we’re finding is that people are looking for an experience and a story behind the properties they stay in, we are working on developing the story of our unique heritage as part of Ireland Ancient East proposition. Our expansion plans also include developing an ‘innovation hub’ for start-up businesses. It will be a place where people can go to get mentoring from various specialists, or just have an innovative space to hold think tanks. HD: Being from Ireland, how do you think Brexit will affect the industry in your homeland? MP: I was actually one of the few people in my close circle that thought it would happen – and I’ll tell you why! There was a sort of ‘perfect storm’ prior to the referendum – there were definite elements generating fear, it came very quickly after the tragedies in Paris and in Brussels and we’re now facing an unprecedented migration issue beyond anything we’ve ever experienced. When people feel fearful and threatened, history shows us that they will lift the drawbridge – and I feel people acted out of genuine fear, but without properly understanding the ramifications. There was a total lack of understanding of what Brexit actually meant. With regards to ‘what now’ – we’re in uncharted territory. We’re ten years away from truly knowing what the ramifications are. Obviously, there is a massive connection between Ireland and the UK, more so than any other country, and there has been for generations – I personally have a very strong family connection with England and the UK! The big issue will be the border, I’m hoping open borders continue, but I’m not sure how that will work in the European context at all. The other thing that concerns me, listening to Theresa May in her speeches, is that she wants to build links with other countries and is looking towards a ‘global economy’ separate to Europe, I am not sure that will be straight forward as we have Barack Obama saying that the US will have to deal with Europe first and then the UK. But despite that, I still think there will be close ties between Ireland and the UK – and as a tourism product, the UK people will still visit Ireland and vice versa. I’m sure that given our shared heritage strong links between the two countries will continue. HD: Let’s hope so! And as an independent hotel rather than a chain, what operational challenges do you face? MP: There are two strands to that question, the first being the fact that we’re a family-run hotel with a long history in the industry, we have the mentality of ‘individual tailor made service’ rather than ‘standardisation’. Secondly, we bring a wider industry best practice, innovative approach to building standards of performance and team development – because if our team is happy and well trained it enhances service delivered to our guests. 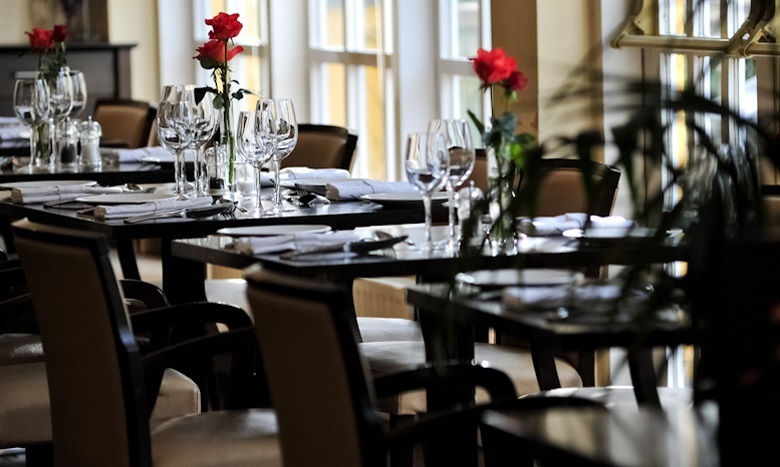 As hoteliers, the guest is the centre of our universe, and at Athenaeum House Hotel we pride ourselves on being able to offer a personalised experience, when our guests are happy our business flourishes! Deema Sahyoun: I actually started off a product designer, and then I got quite lucky and fell into a job in hotel design by coincidence. I absolutely fell in love with the hospitality industry – especially the creativity it allows, the challenges you face and the joy you can bring people through a space. So, I freelanced for about four or five years but always wanted to start my own company and I have slowly built up my company over the last four years. In the last year I’ve just found my niche within the boutique and independently-owned hotels where, although it’s a smaller budget, it’s rewarding to achieve beauty with a tighter budget and that’s what I specialise in now. HD: And what’s your inspiration, what inspires you when working on a project? DS: It’s a number of different things – first and foremost, it’s the building and the impression you get when you first walk in. And then meeting the people that work there. Many of these hotels are older and have been owned by the same family for a long time, and the managers have worked there for years – so for me, it’s about getting a sense of the culture of the hotel. Next it’s case of the general area and location of the property. And then the challenges of the space usually lead the creative process. For example, with tiny rooms, it’s how you work to make them appear bigger. HD: What’s your favourite design that you’ve seen? DS: That’s always a difficult question to answer! I like a whole range of different design elements… [HD: I suppose they reflect the personalities of the designers? ]…Exactly, and their distinctive styles! 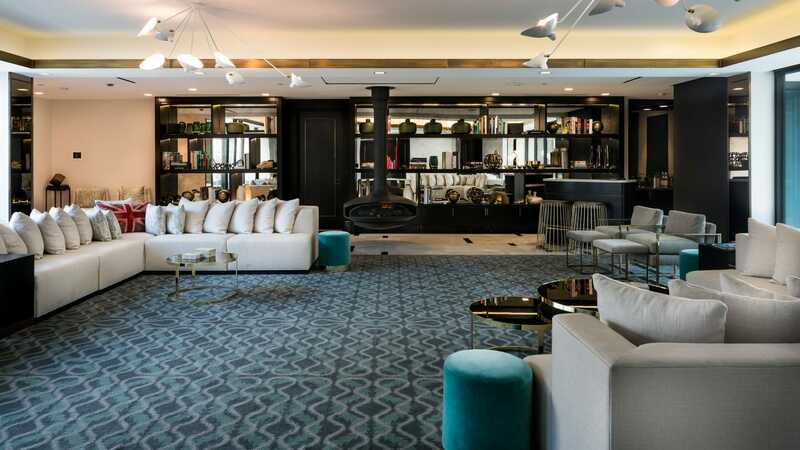 But I mean, I like Firmdale Hotels a lot and how Kit Kemp is led by the environment around the properties in her design. HD: And what about your own – a project you really enjoyed working on? DS: Oh gosh, I have many that I’ve enjoyed for different reasons! But I did a project in Egypt and, being from the Middle East, I quite enjoyed bringing a sense of modernity to the Arab culture and making it trendy. I have been working closely with Capricorn Hotels over the last few years and it has been a joy working with them; we have a long term plan towards bringing their hotels to life and it has been a great experience being part of such a great team. I also did the bar at the K West Hotel in Shepherd’s Bush – and I really enjoyed that project because there was a lot of juicy creativity that I could bring into that because of its story. HD: And what future trends can you see coming in the next three years? DS: Well, I think the way people are looking at hotels is completely changing – people are shying away from branded hotels, and the idea that if I go to this hotel anywhere around the world it will look exactly the same. It’s all about being individual, being independent and about giving people a sense of place. It’s about the language between its location and getting the people who are staying there to go out and get a feel of the locale. And then we’re definitely seeing an influence from the way we live – so, not filling the room with desks for example, as nobody likes sitting facing the wall; people would rather you had a nice communal area with coffees and somewhere to work. So the standard things you need in a hotel are completely changing – having smaller wardrobes, but bigger lounge space for example. HD: Are there trends your clients are specifically asking for? DS: I tend to play it by ear – I don’t know if it’s just me, but the clients I work with really rely on me to keep on top of trends! But a couple of their main stipulations are always that it lasts a long while and space is used well. 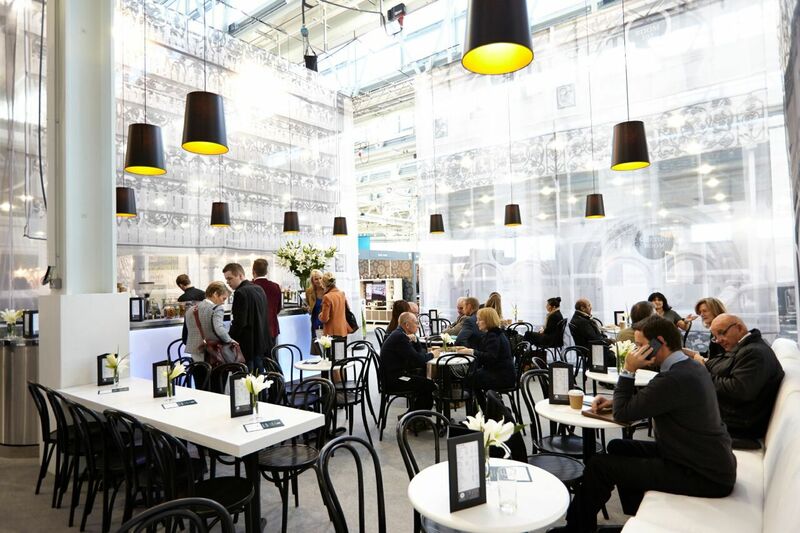 During Sleep, Europe’s leading event focussed on global hospitality design, conference moderator, Guy Dittrich and Laufen Commercial Director, Ilker Hussein took some time to share their views on how they see the hospitality design industry. Guy: How do you see the value of Sleep with respect to your activities within the hospitality design industry? Ilker: Sleep is the perfect platform to meet, inspire and engage with the client, design and hospitality professionals through communicating our core brand values. The globalism of the event also reflects our values and aspirations; it is the perfect environment to demonstrate how we are able to add value through developing and nurturing our global network. We do not see ourselves as simple exhibitors but more of an active and committed part of the hospitality design community. A good example of this acceptance by the hospitality design industry may be illustrated by the invitation of Sleeper magazine to become part of their extremely successful Sleepover initiative this year. We also view the Sleep Event as a platform to develop and evolve the knowledge and understanding of our team; the conference is an amazing source of first hand information from the people who are creating and driving trends within the hospitality sector. I look to the initiatives our team have successfully been working on and can see the impact of the previous Sleep Events. Guy: What are your thoughts on customised products for hotel rooms compared with standard products? Ilker: In high level design environments, interior designers look towards differentiating their creativity, they also require the security of a globally respected brand to deliver solutions in a unique form that complements their concept whether by the creation of a completely new shape or by the customisation of existing Laufen products such as our expertise in cutting ceramic and customisation by colour and texture. 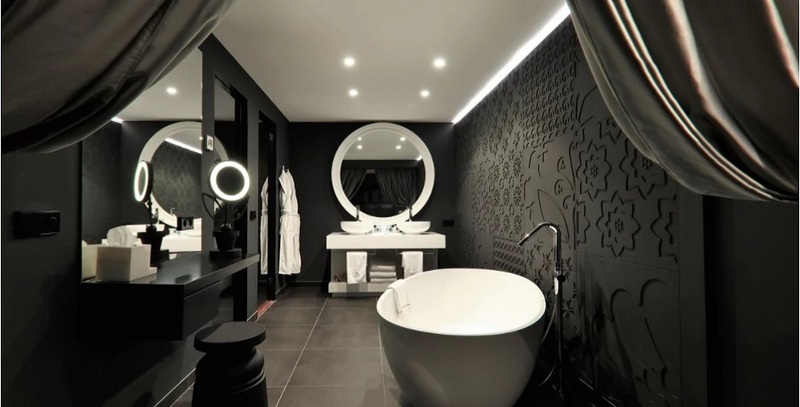 Recent examples include Marcel Wanders Interior Design working with Laufen on the Mondrian Doha Hotel (Falcon Towers) in Qatar, which included a specially designed custom bathtub, Moxy Hotels using a customised washbasin solution for their new bathrooms and Purpose Design collaborating closely with us last year for one of the Sleep Set hotel competition rooms with a completely customised bathroom concept. Our understanding of materials enables bespoke solutions which require higher levels of engagement and understanding of what is needed. Sometimes we are asked to work outside the box and our comfort zone in order to provide a solution. This is a great motivation to our team, as we love to be challenged, and to demonstrate our ability to work closely in creating unique solutions with our partners. The development and acceptance of the boutique hotel has also challenged all hotel channels, for example, the demographics associated with the new millennials has seen growth in brands like CitizenM, Motel One and Moxy Hotels stamping a high level design signature on budget hotels; highlighting the principal that pioneering design need not come at a high price. 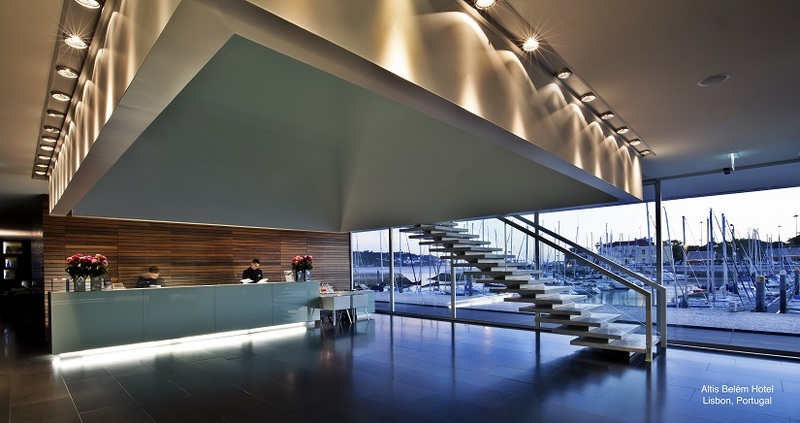 All of these hotels have been designed with customised product solutions. 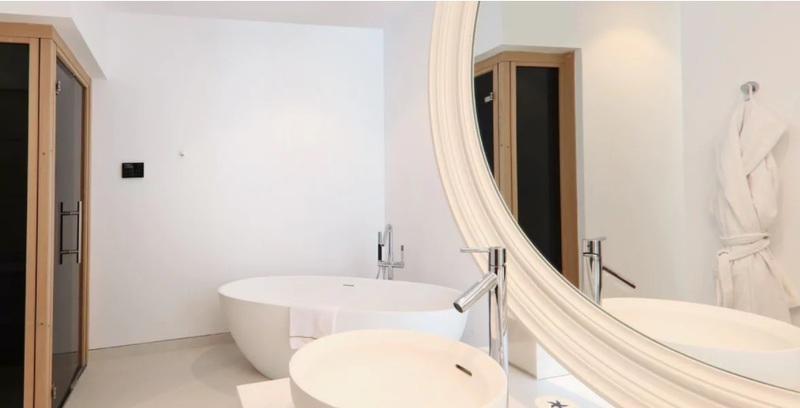 Laufen have worked with the Moxy Hotels team from a very early stage to develop a customised washbasin solution creating a total bathroom concept. Ilker: What have you seen in the last 6 months of new hotel openings which has made you stop and stare? Guy: That’s a tough one as it’s been a busy few months. One of the real showstoppers has been the Lanserhof Tegernsee in Bavaria. I know this part of the world well and it is traditional and closed. So the concept and realisation of this medical spa with a great architectural pedigree is all the more remarkable. 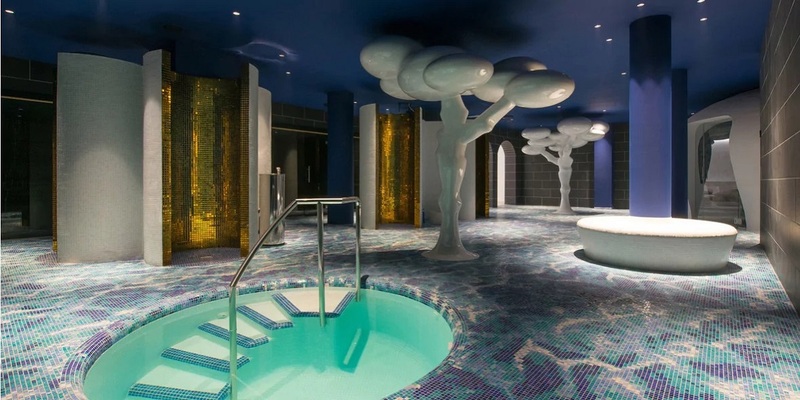 It has a reduced colour palette and only a few materials have been used to create a luxurious and calming environment that is perfect for the contemplative activities of guests that are there for the ‘cure’. Jouin Manku have been making waves recently. 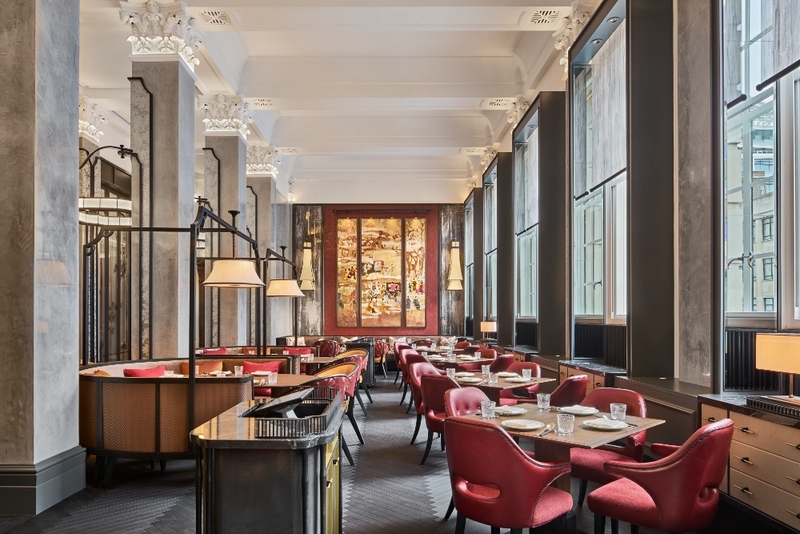 Their work on the Alain Ducasse restaurant and the Bar at the Hotel Plaza Athénée in Paris is jaw dropping but even better they manage to ‘release’ previously underperforming areas making them into premium space. The blue cloud floating in the bar takes the plaudits but the smart re-use of space around the new bar counter makes the money. On the other hand, Jouin Manku’s much more austere interiors at the former priory at Fontevraud in the Loire Valley have a reduced feel that is so compelling I am adapting a few of their ideas in the renovation of my own home. Guy: What type of project do you most enjoy working on? 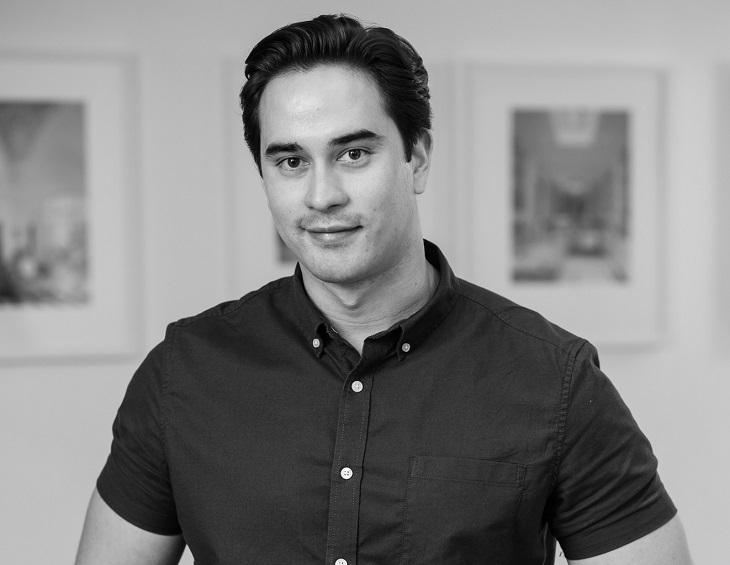 Ilker: I love working with people, especially on projects where we have an opportunity for increased involvement with creative designers and clients, to be a part of a team that inspires and pushes the boundaries of interior design. The world I live in makes me fortunate enough to regularly meet, travel and engage with people from different cultures, professions and attitudes bringing increased success both professionally and personally. To connect stakeholders from different parts of the world to our local markets and teams is a great privilege, and can often demonstrate the value we are able to offer, both as colleagues and supply partners. Ilker: How do you think hotel companies see suppliers? Guy: Mmmm…..you put me on the spot there. Of course it depends what they supply but in the FF&E field I think that hoteliers are firstly looking for performance and support in the event of difficulties. As a GM once said to me, “short term is before lunch and long term is after lunch”. The show must go on. Suppliers need to be super reliable as tonight’s hotel room is only for sale…….tonight. Hotel rooms are the ultimate disposable commodity. After reliability you are talking about the suppliers who really bother to understand the hotel market in terms of operational efficiencies. How quickly can that particular piece of kit be cleanED? How long will it last before it needs to be replaced? Only after that do the design and style really come into their decision making process. And let’s not forget that it is often the owner and not the operator who appoints the suppliers. But that’s another can of worms….. Guy: How do you manage complex projects which are crossing so many borders, cultures and local requirements? Ilker: Our philosophy to ”Think Global, Act Local” is something we live and breathe, and can be seen in the way a wider global perspective is demonstrated whilst respecting local cultural conditions, requirements and expectations. Building a strong internal network supported by a global perspective certainly facilitates this. Laufen encourages and promotes best practice principles to be integrated into the learning and development plans of our people. This helps us evolve as people in an ever changing environment, and motivates us to be successful. We also have processes that empower a structured approach to projects but also encourages inspired solutions enabling a far more effective and creative engagement. 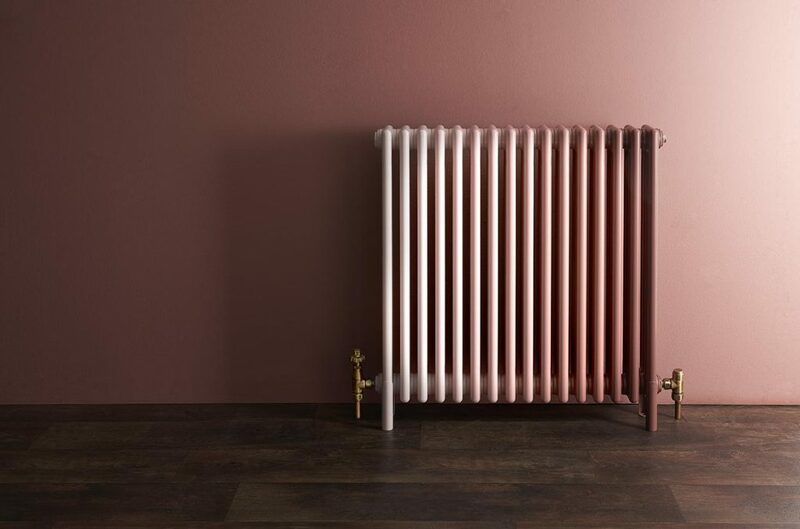 The most recent example of this was for Moxy Hotels where the project touched contacts starting with the client in Lithuania, to the Laufen team in Switzerland and logistics in Czech Republic, order processing in Netherlands, designers in Sweden and finally through to the supply point in Northern Italy. Taking consideration of all the key stakeholder’s aspirations is also a fundamental principal that needs careful attention through the life cycle of a project. By doing this, our team not only ensures a positive and professional approach to the project, but looks towards developing longer term trust and relationship for future collaborations. Finally not forgetting that the end user is also a stakeholder, and their expectations and experiences are important. Though the Laufen Global Project Team are still relatively young, our passion for hospitality is very visible, and can be recognised through the relationships with most of the International Hotel Groups, where we enjoy recognised, approved or preferred manufacturer status. Ilker: What has been the most significant development you have seen in hotel design in the last 5 years? Guy: A few years back I would have said CitizenM and I still think what Rattan Chadha, Michael Levy & their guys have done is extraordinary and plain good fun. It is a real step change in the way hospitality is viewed by punters. More recently I see the rise of the Hot Hostels, particularly Generator Hostels, as a real sit-up-and-take-notice moment for the full and even limited service hotels. Personally I am not a fan of bunk beds in dormitories, or at least not whilst I am working, but certainly the hybrid hostel-hotel model has legs. However I am also interested in the guys at the margin. The tree house hotel and the monastery are right at the edge but can be a bit gimmicky. So it is the innovative hoteliers such as Christoph Hoffmann at 25Hours Hotels, Paul Rinkens at Qbic Hotels, Brad Wilson at Ace Hotels and Carlos Couturier of Grupo Habita that are laying down the road map for others to follow. Guy: How do you see other design disciplines influencing new product development at Laufen? Ilker: Product development and innovation has been a part of the Laufen DNA from the very beginning. The invention of the wall hung toilet, developing pressure casting as a production process and the recent creation of a new ceramic material enables us to support the push of new design boundaries. I believe the new ceramic material, SaphirKeramik, will influence design for years to come, it is very exciting to be at the beginning of such a development. 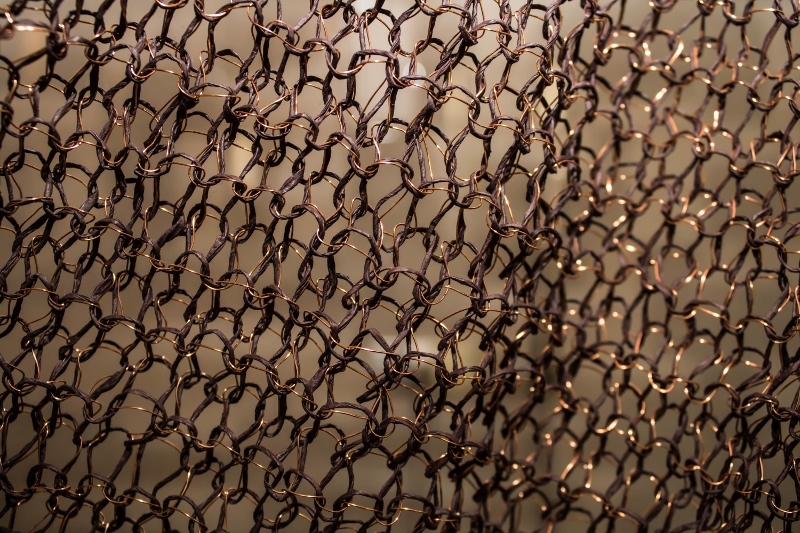 We are highlighting some of the newest designs that can be made from this material at the Sleep Event this year. As a team we are also exposed to wider design and cultural experiences through our participation at events like Art Basel, La Biennale di Venezia, Design Miami and Design Festivals which have educated our team to appreciate design and art which consequently impacts product development. A good example of this Laufen philosophy of empowerment and creativity was demonstrated at Sleep last year. Not only did we have a stand with innovative designs but were challenged to create a concept bathroom with Purpose Design using customised solid surface material. Additionally Nous Design inspired our team to create a unique showcase champagne bar made out 46 washbasins. The Sleep bar not only became a centrepiece of Sleep 2013, but also won the Award for Best Pop Up Bar at the Bar & Restaurant Awards 2014. 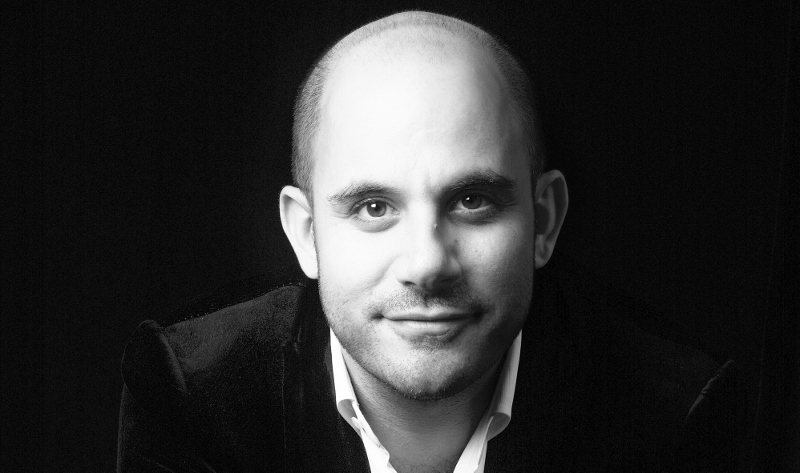 Guy Dittrich is a freelance writer and independent commentator on hotels, travel and design. He frequently programmes, moderates and presents for both corporates and at conferences including Sleep. Writing regularly for Wallpaper* and Condé Nast Traveller Guy is also Editor-at-Large for Sleeper, the specialist hotel design magazine. Ilker Hussein is working for Laufen Bathrooms as Commercial Director. 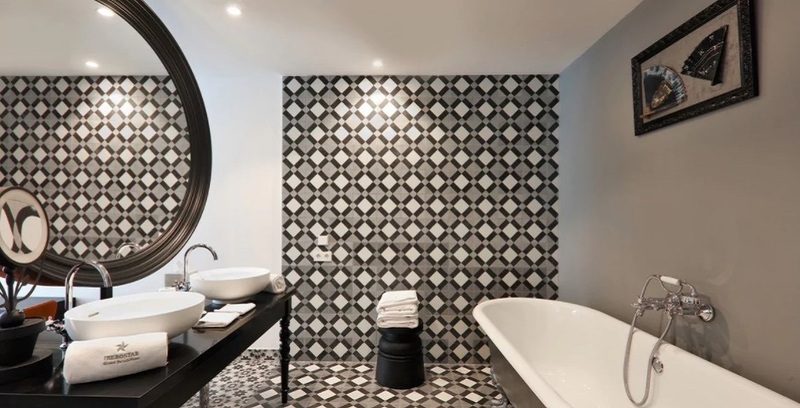 He has worked with clients, architects and designers on bathroom projects for the past 20 years and has global responsibility for the delivery of customer satisfaction in both retail and commercial environments. A good example of this Laufen philosophy of empowerment and creativity was demonstrated at Sleep last year. Not only did we have a stand with innovative designs but were challenged to create a concept bathroom with Purpose Design using customised solid surface material. Additionally Nous Design inspired our team to create a unique showcase champagne bar made out 46 washbasins. The Sleep bar not only became a centrepiece of Sleep 2013, but also won the Award for Best Pop Up Bar at the Bar & Restaurant Awards 2014.